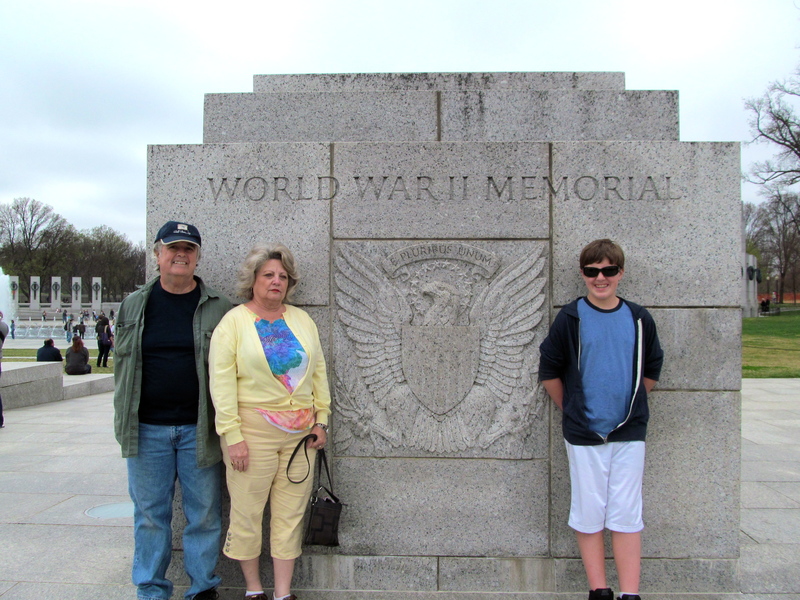 My parents and my son at the World War II Memorial in Washington, D.C.
Today is Veteran’s Day and I would like to honor all those who have served for we would not be the great nation we are without them. 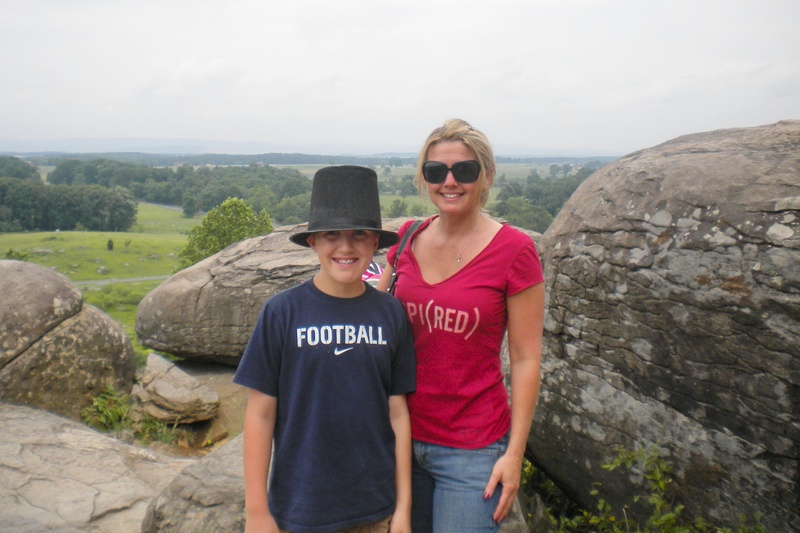 My son has learned quite a bit about the American Revolution and the Civil War in school and through our travels. He still has a lot to learn about both World War I and World War II which is part of the curriculum for the second half of this school year. A lot of what he knows about World War II came from our visit to the National World War II Museum in New Orleans and the World War II Memorial in Washington, D.C. and from stories my parents have told him about his great grandfathers who served our country. 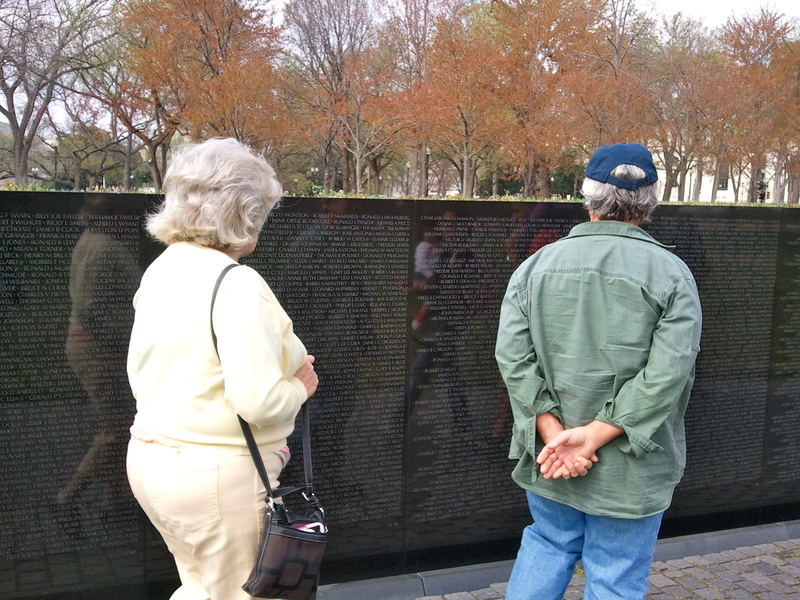 My Dad has also shared his thoughts and memories of the Vietnam War while we were in Washington, D.C. at the Vietnam Wall Memorial this past March. He had mentioned that back in the sixties there was little respect or honor for veterans, which is surprising since President Eisenhower made Veteran’s Day an official holiday in 1954. Teaching our children about those who gave their lives in service for our country is important. As my Dad is the link to learning about my grandfather’s role in World War II and about his own experience to Vietnam, I am the link for my son to learn about veteran’s role in the Gulf War and of course the wars in Iraq and Afghanistan. I want my son to be able to relay stories of courage and patriotism to his children one day so they won’t take living in our country for granted. He won’t be able to do that if he doesn’t learn by example. It is our job as parents to make sure our children understand that we owe our security and freedom to our veterans past and present, so when you are traveling make sure you carve out sometime to visit one of our country’s National Cemeteries or memorials. Chances are when you are there you might run into a veteran, so make sure to say thank you. Pointing to my Grandfather’s name at the World War II Museum in New Orleans. Have you taught your children the true meaning of Veteran’s Day? On my recent trip to Atlanta I was looking to dine out at a authentic southern restaurant. I asked a local for a recommendation, and he advised me to check out Sweet Georgia’s Juke Joint. My first thought was what the heck is a Juke Joint? Thanks to google and my smart phone, I quickly discovered that juke joints were like our bars of today and they began popping up after emancipation. 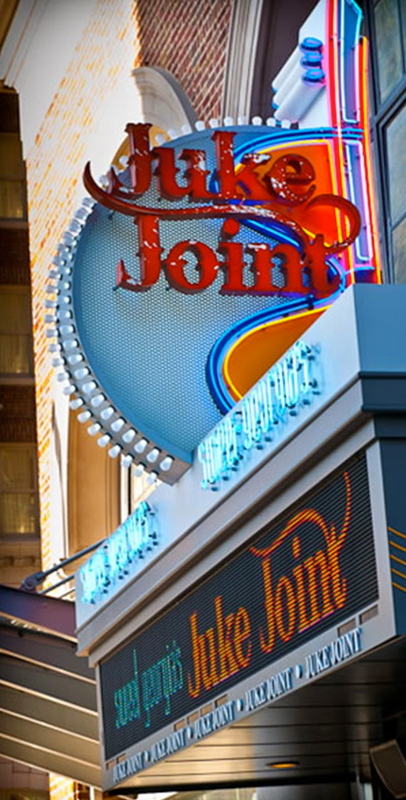 Juke Joints primarily catered to African-American sharecroppers and plantation workers in the southeast and provided them with a place to socialize with friends while enjoying a meal or having a couple of drinks. They were also known for their music, especially the blues. When I told my friend from San Francisco about Sweet Georgia’s Juke Joint she was just as excited to try a restaurant authentic to the south. Originally a southerner before moving to NYC, I too couldn’t wait to take a look at the menu and was also excited because we were also going to be able to see, or should I say hear one of Atlanta’s best blues bands. As soon as we stepped in the restaurant we were greeted with the jiving sound of the Breeze King’s harmonica, historical photographs of juke joints in a collage on the wall and chatter and laughter from the crowded tables. The ambiance in one word was cool. A little history on the wall. Would you like to try some moonshine? Our energetic and genuinely friendly waiter also shared something else that was pretty cool – a selection of Midnight Moon Moonshines. Of course we had to sample a little because how many place offer moonshine? After toasting our shot glasses and throwing it down I literally screamed “wow, that burned” and quickly realized how the juke joints of the past became so rowdy. We both decided to ensure that we made our meeting the next morning we most probably should layoff the moonshine and switch to beer. Did you say Fried Green Tomatoes? At first glance at the menu, I was disappointed. Just kidding! I was only disappointed that I couldn’t try practically everything on the menu! I debated back and forth over the southern starter and the seafood gumbo to start and between the fried chicken, pork rib rack , the shrimp and crawfish e’toufee and the shrimp and grits for my entrée. Ultimately we went with the southern starter because it included fried green tomatoes which I hadn’t enjoyed in most probably twenty years. 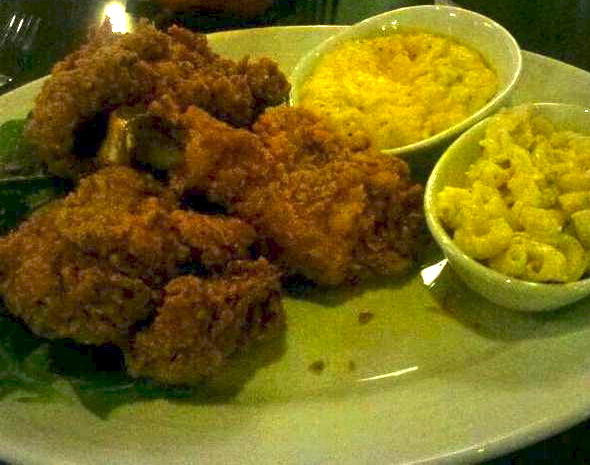 For the entrée, Nicole decided on the Fried Chicken which is one of the more popular dishes according to our waiter. 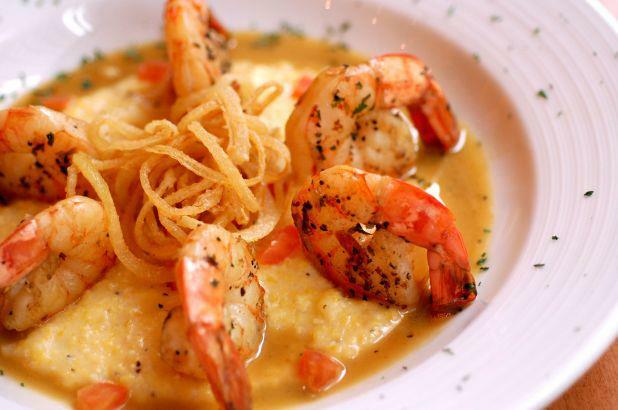 I ended up going with the shrimp and grits. Everything was so delicious. Hopefully if you find yourself in Atlanta and plan on going to Sweet Georgia’s Juke Joint it will be on a night that there is live music. Consider yourself lucky if you are there on a night when the Breeze Kings hit the stage. They have been voted Best Blues Band in Atlanta nine separate years. 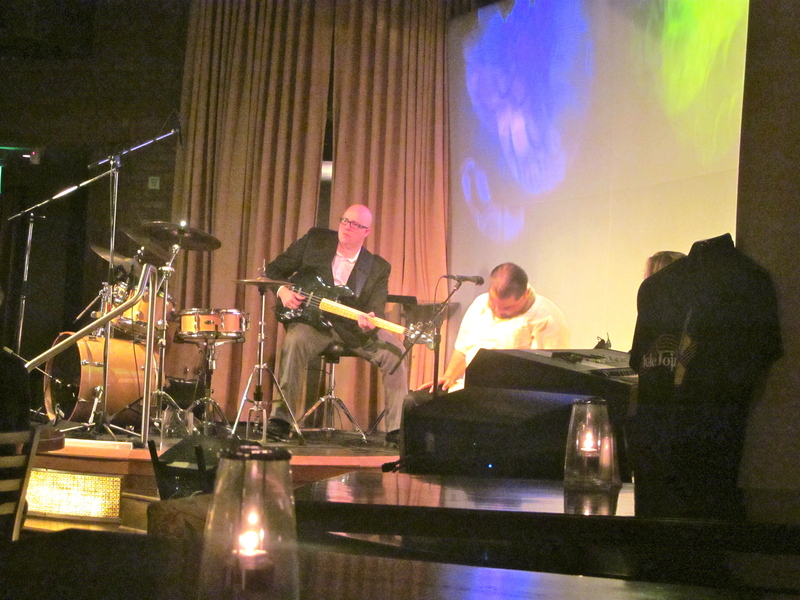 Their pumping, smooth style and rhythm really tied together the whole juke joint experience. These guys were truly talented and I really loved the harmonica player. Can I use the words authentic and cool again? When you travel do you sample the region’s most famous foods? So have I enticed you to visit Riverhead yet? With a few more weeks of summer and fall upon us, it is the perfect time to head east of NYC to this busy town on Long Island. I mean seriously, the kids just started school this past week, but anyone in the New York tri-state area knows that they are already off for a 4 day weekend, September 15th through 18th, and are also off September 26th and October 8th! As you know from Part One and Part Two of this series, there is no shortage of things to do with the kids . 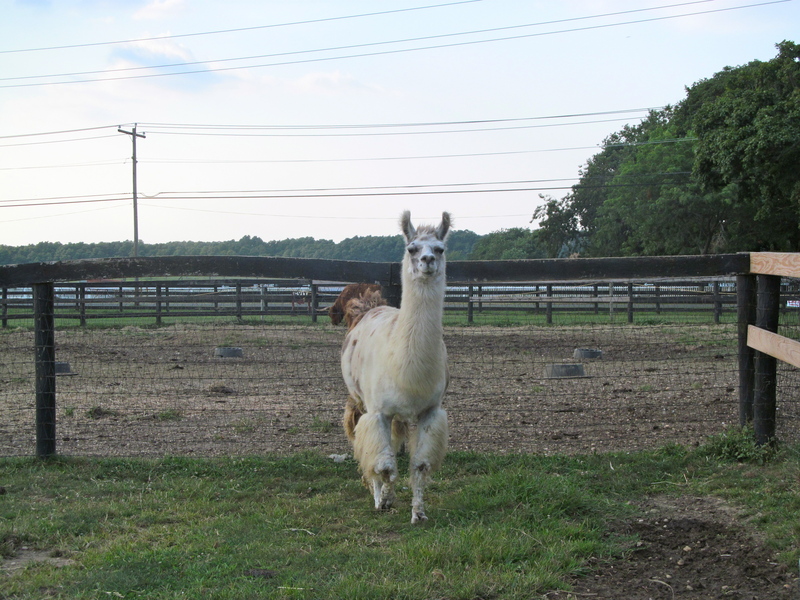 . . aquarium, Long Island Railroad Museum, kayaking , biking and hanging out with some farm animals. The nice thing though about Riverhead is that you can slip some things in for Mom and Dad too, heck you can even bring the grandparents! No matter who makes the trip, you can bet on a good time. We always do. So sift through the different ideas on the previous list and the one below and start planning what attractions, farms and outdoor activities for your own travel itinerary. 21. Enjoy a live performance – The Vail-Leavitt Music Hall which was established in 1881 and was modeled after Ford’s Theater in Washington, D.C. 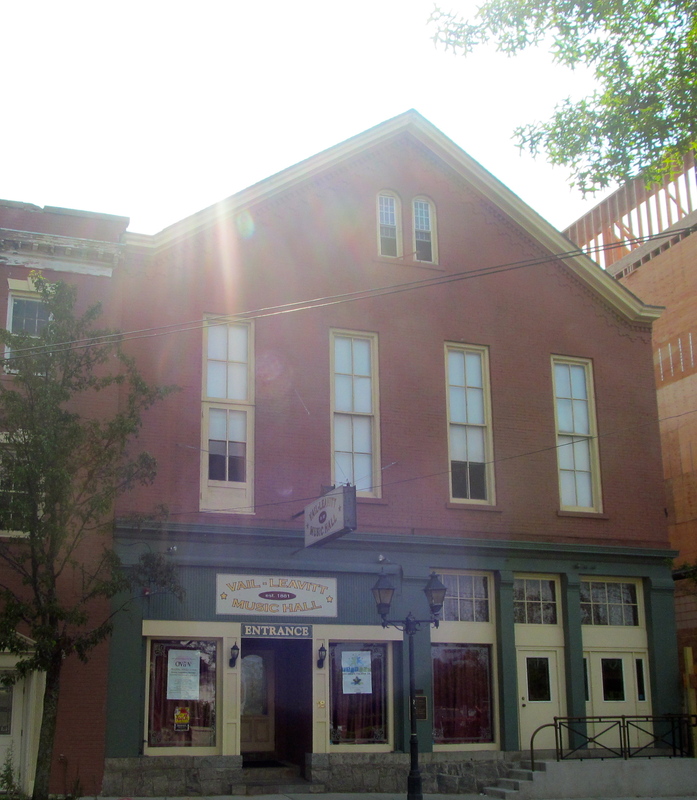 This music hall host productions from the East End Children’s Theatre Co., songwriter showcases, concerts and comedy shows. 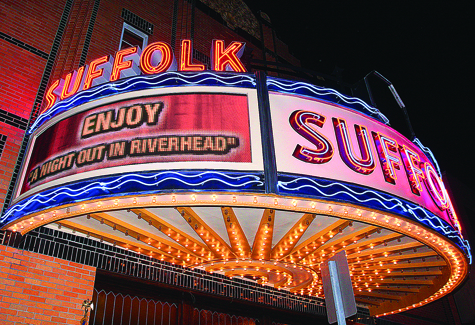 As of Dec. 31, 2012, the Suffolk Theatre will be another place to catch a live performance ranging from musical acts, plays and comedy shows. In addition the Suffolk Theatre which originally opened in 1933 will once again show films that span from popular box office movies to classic, foreign and independent films. I am so excited that this historical single screen art deco movie theater that was once compared to Radio City Music Hall will be re-opening with such a range of productions. It is located within walking distance of the Hyatt Place and there are many restaurants close by , like the Riverhead Project, that you will definitely be able to make it a night out on the town. The Suffolk Theatre scheduled to open again on Dec. 30th, the 80th anniversary of when it first opened its doors. 22. Visit a farm-stand – It is apple picking time! It’s also pumpkin picking time too! 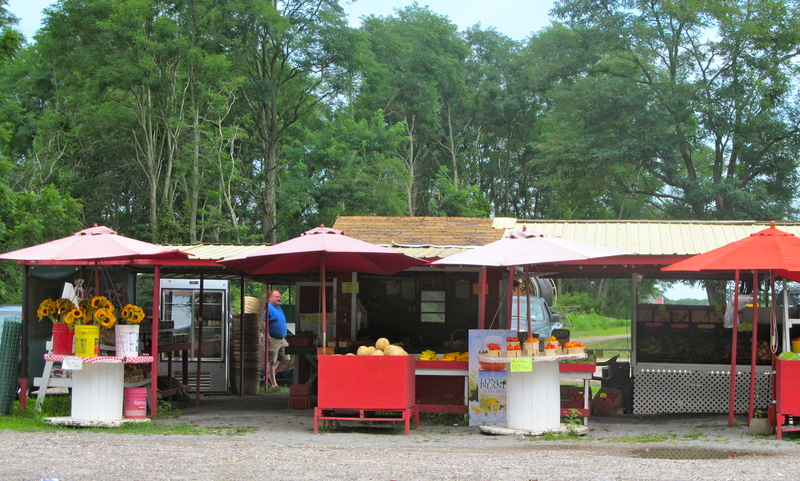 Farm stands and orchards are popular stops for families to pick up some fresh produce. Many farms also offer “pick your own” strawberries, peaches and pumpkins in season. 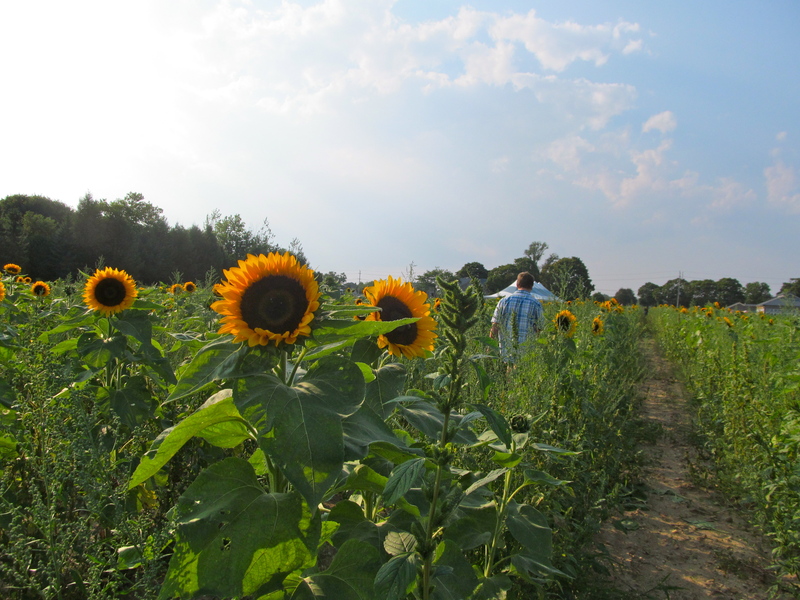 For a list of Riverhead Farm Stands, click on this link. I love stopping off at the many farm-stands, especially for a fruit pie. 23. 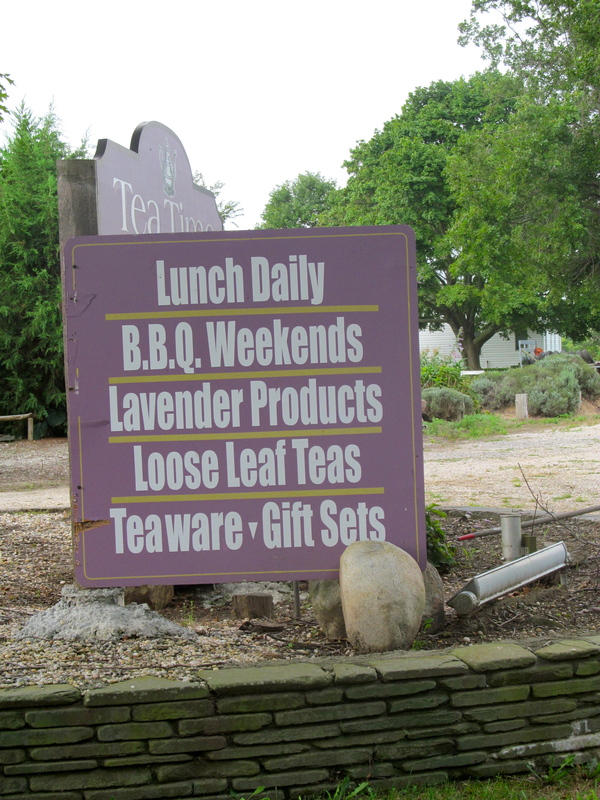 Tea Time Cottage – This Long Island Teahouse is adorable. It is a wonderful, cozy place for a cup of tea and a warm scone or a great freshly made wrap and a cup of soup. 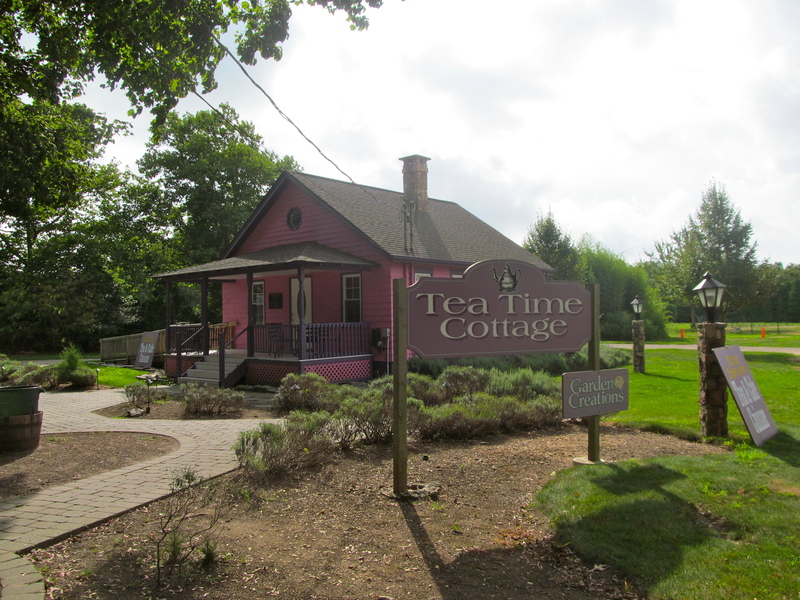 The Tea TIme Cottage is close to Hallockville Museum Farm and the Gingerbread University, so once you are finished decorating cookies or hanging out on the farm, cap off your day with afternoon tea, minus the white gloves. 24. 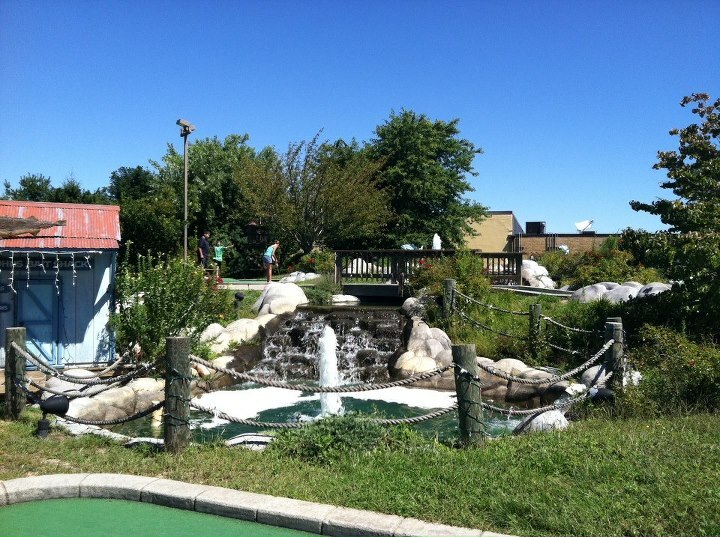 Hit the Golf course – If golf is your game, there is several courses where you can tee off or hit the driving range in Riverhead. The four public courses are Cherry Cree Golf Links, Long Island National Golf Club, Sandy Pond Golf Course, and The Woods At Cherry Creek. 25. Do a little fishing Flander’s Bay offers saltwater fishing where you can reel in striped bass, bluefish and snapper. If you would like to fish by boat, rentals are available and of course you can always fish by shore. 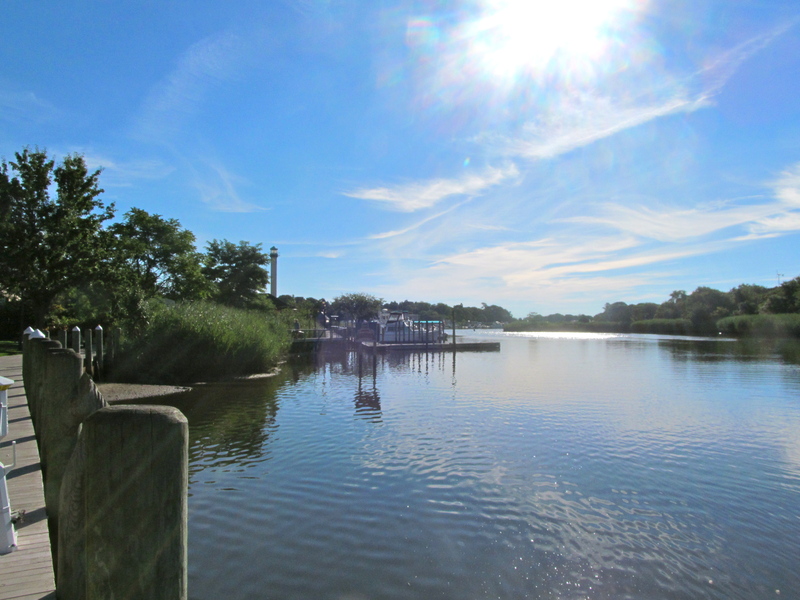 The Peconic River is another great place to fish and you can also find striped bass and snapper here too. 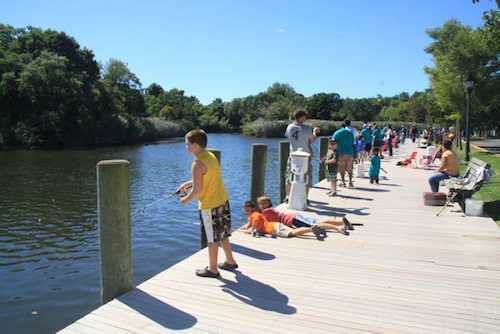 The town docks behind Main Street provide the easiest way to cast your rod and is a great place to fish with kids. Regardless of where you go fishing, don’t forget that anyone over the age of sixteen in New York needs a fishing license. You can pick one up at Sports Authority on Old Country Road or the Town of RIverhead at 200 Howell Avenue for five dollars. 26. 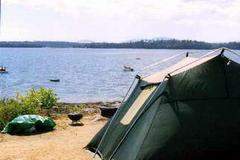 Camp & Hike at Indian Island County Park – Open year round, camping is quite popular at Indian Island, with trailer and tent campsites. Restrooms and shower facilities are available for the comfort of all campers. Picnic tables, grills, comfortable benches make it easy to set up shop. Other features are fishing, playgrounds, hiking trails, and a bike hostel. Dogs must be leashed. If you are looking to connect with nature and get away from it all, Indian County Park is the place to escape to where you can enjoy 287 acres and views of the peaceful Flanders Bay. Click here for camp reservation information. 27. Go Antiquing– Antiques Etc. is a located in an old barn on McDermott Ave. between the Peconic River and Main Street. When I visited there were some gorgeous pieces of furniture. I fell in love with a large farm table and a mirrored chest of drawers. Too bad there is no room in my house. 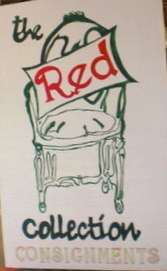 Another great place on Main Street is the Red Collection which is a consignment shop featuring home furnishings many made by top designers. The store is 8,000 square feet and items range from $10 to 10,000. Since my favorite channel is HGTV, all I can say is I love this place. 28. Get your history fix at the Suffolk County Historical Society Museum – There is a lot of history on Long Island. Think about it, one of the signers of the Declaration of Independence , William Floyd resided in Suffolk County, the Culper Spy Ring operated in parts of Suffolk County, and being on the east coast, colonial life was largely prevalent. Of course Suffolk County also was where the first wireless signal was transmitted, where Albert Einstein spent his summer in 1939 and was the home of the first US Navy Submarine base.The museum has a vast collection that includes 20,000 historical artifacts. There are permanent and changing exhibitions. The artifact collections are broad, but mainly focus in the areas of history and the arts. The majority of the collections are from the 19th century, but Native American artifacts from the prehistoric to modern time are also represented. 29. Check out Long Island Antique Power Association – Conveniently right next door to the Hallockville Farm Museum, you will find the Long Island Antique Power Association. Here you can check out antique trucks, tractors and equipment. So if you are into cars and like to check out engines or think it would be fun to see a tractor pull, stop on by. Rumor has it that the association hopes make their operation a full-time working farm museum so the public can participate sowing wheat and planting potatoes and them harvesting them. 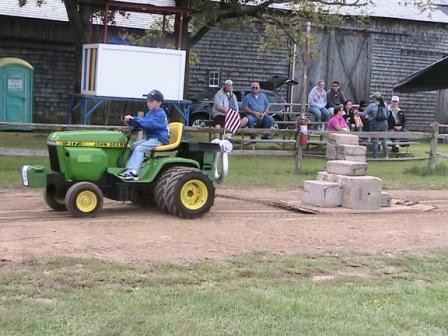 Where else can you experience lawn mower racing or garden tractor pulls? 30. Venture out to neighboring towns – Well, if the previous 29 places were not enough, within 15 to 20 minutes from Riverhead, you can star-gaze at the Custer Institute in Southold on Saturday night or for the Annual Astronomy Jamboree October 19th- 20th. 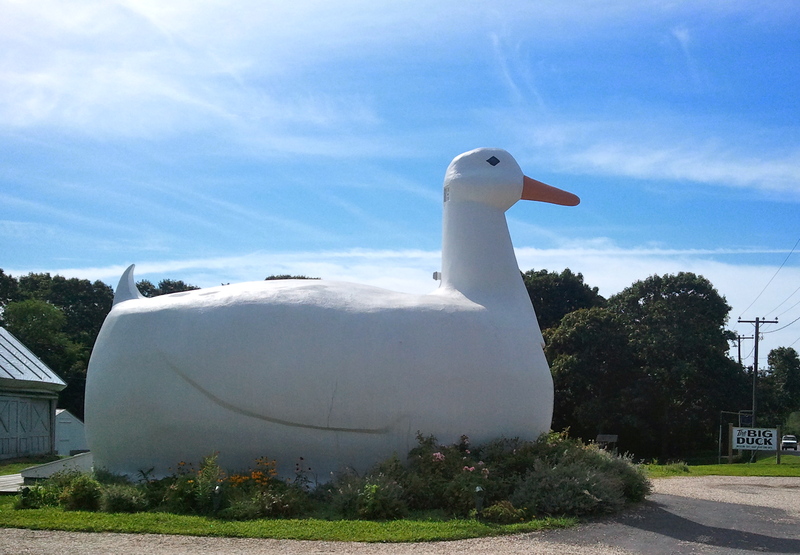 Another must see, especially for kids is to visit the Big Duck, a roadside attraction in Flanders. If you can’t wait for the Suffolk Theater to open, you can catch a live comedy show or music performance at the Westhampton Beach Performing Arts Center. You can always find a great line up here which is nice when you don’t want to head into NYC. For example, on Columbus Day weekend the Gregg Allman and Band and Bill Cosby will be performing. Yes, the list is long, but with 30 Reasons to Vacation in Riverhead that is expected. Believe it or not there is even more places that are on the horizon in this busy town. There is an ice rink and pavilion in the works and it looks like dinosaurs will be back on Main streett. Most places that are mentioned are fairly inexpensive, but there are a few places that can be pricy, so make sure you look for discounts in the Your Local Kids Source, which is a free magazine that you can find in the hotels and restaurants. I have found coupons for the aquarium up to 30% discounts in this coupon book or you can just go to their website and create your own coupon. 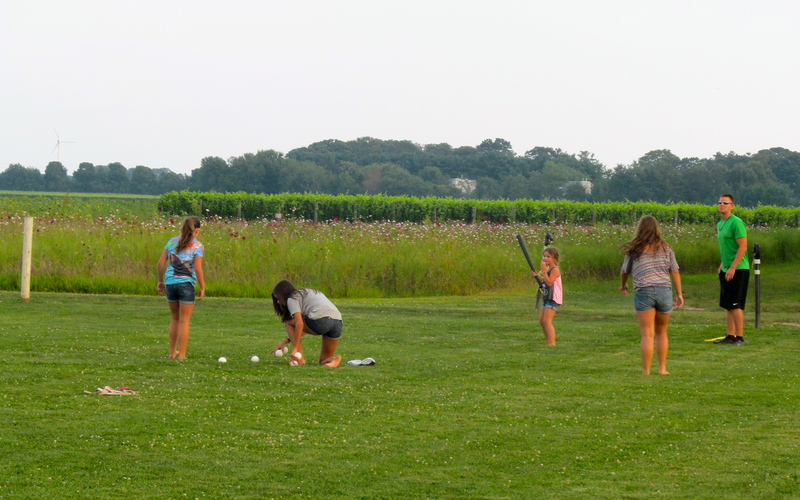 30 Reasons….what is your families’ reason to vacation or make a day trip to Riverhead? Sunflowers along Roanoke Avenue in Riverhead. 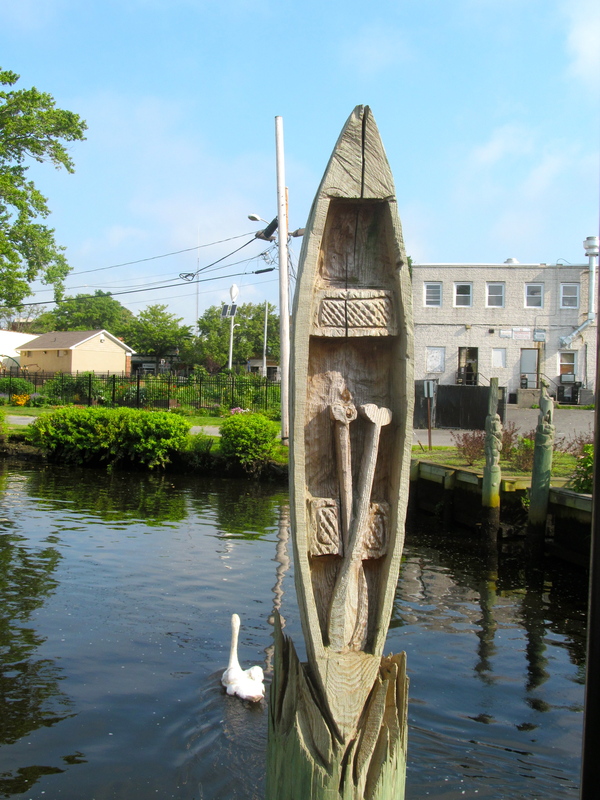 Riverhead, New York is small town on the east end of Long Island sitting at the mouth of Peconic River. Many people associate Riverhead with the Aquarium, the water park Splish Splash, and the Tanger Outlets. These might be the most popular attractions, but Riverhead has so much more to offer. Affordable hotels (that are scarce further east out in the Hamptons) make it a great destination to visit with families. This post is the first of three and families will be thrilled to find something to do for every family member. 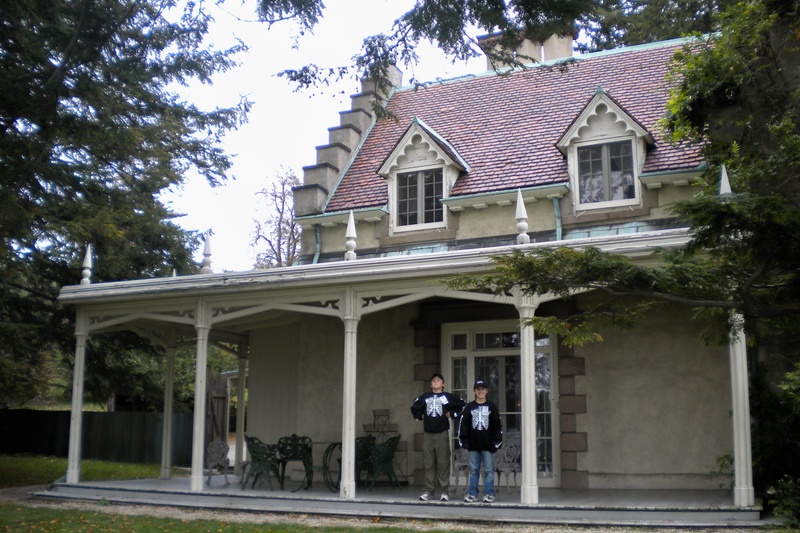 There really is a lot to do, regardless of the season or your age, so check out my list below and make plans to venture out to the east end of Long Island for a day trip or a vacation in this family friendly destination 76 miles east of New York City. 1. 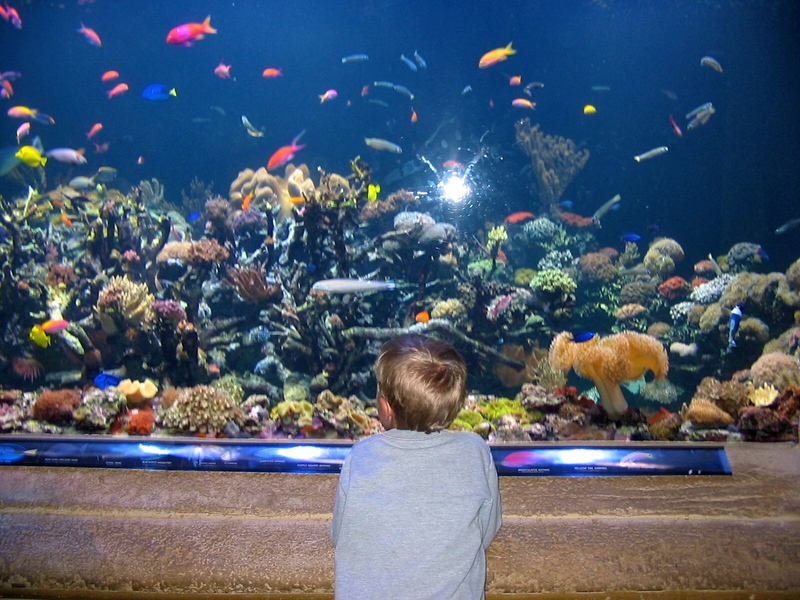 Long Island Aquarium & Exhibition Center – The aquarium has been one of our family’s favorite place to visit. It is not a huge, but it has so many exhibits and interactive experiences. In addition to seeing beautiful fishes and the sea-lion show, the aquarium is the home of three Japanese Snow Monkeys and adorable Penguins. When my son was three he was happy touching the stingrays in Ray Bay and now at age thirteen he has enjoyed the thrill of the shark dive and the pirate snorkel adventure. Other fun things for the family is the Discovery Tower, climbing Poseidon’s Peak, touring the Peconic River on the Atlantis Explorer Tour boat or hanging out in the tranquil Butterfly Exhibit. Not so little any more doing the shark dive with his friend. 2. Splish Splash– This of course is a seasonal attraction and is open from Memorial Day to Labor Day. With 96 areas of water slides and wave pools, it is no wonder that it was voted one of the best water parks in America by the Travel Channel. One of the things I like best about Splish Splash is how the park is nestled in the trees for shade. 3. 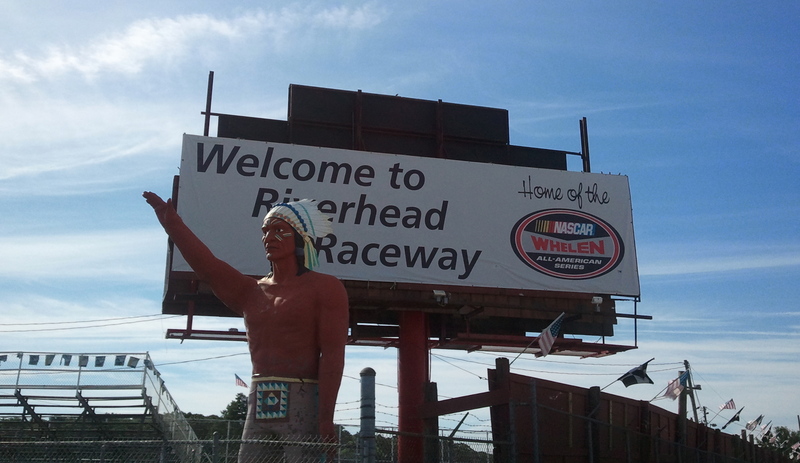 Riverhead Raceway – This is a fun way to spend a Saturday evening. I promise the race cars whipping around the track, demolition derbies and classic carnival food will keep your family entertained. Races are only on Saturdays starting at 6 pm and the pit opens in the afternoon where you can check out the practice and modified trials. 4. 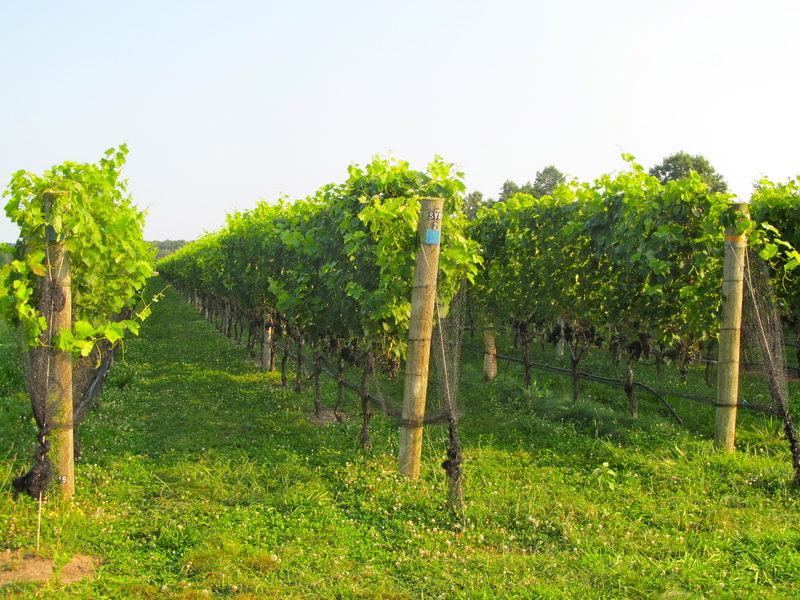 Martha Clara Vineyards – More than just award-winning wine, the Entenmann’s family friendly farm is inviting for the whole family. The kids will get a kick out of seeing the turtles, goats, pigs, cows and other animals. This family friendly vineyard host dog walks (yes, your furry four leg friend is welcome), live music, horse and carriage rides and of course wine tasting for the adults. 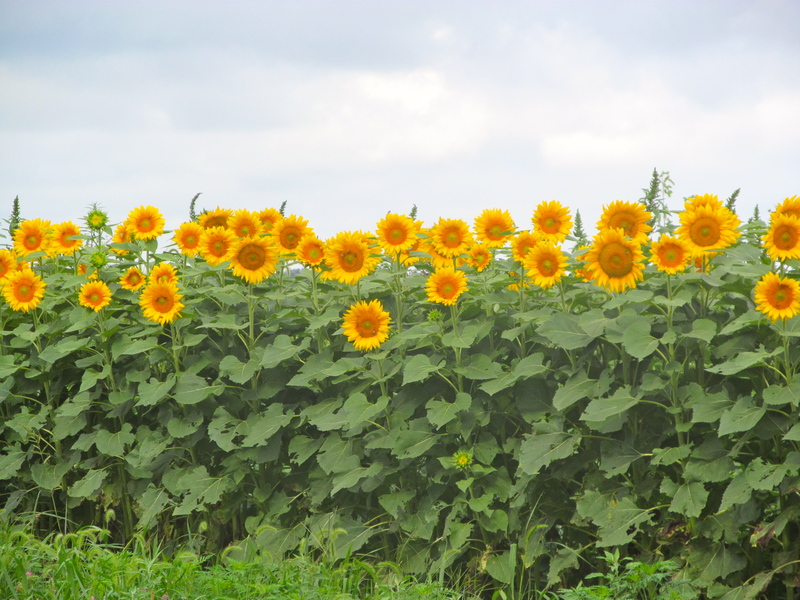 The weekend we visited we were also able to pick our own sunflowers from the field and families were sprawled across the lawn with their picnic lunches while listening to the Live Reggae Music by The Roots Foundation. The kids played games like tag and bean bag toss while adults were playing bocce. 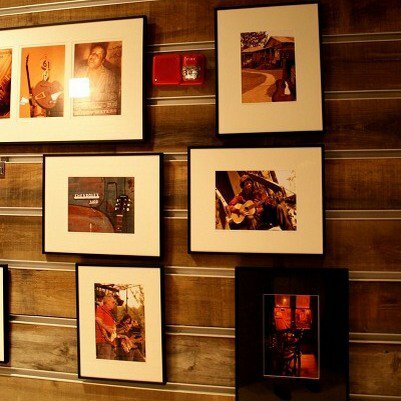 The vineyard is opened year round, so make sure you check out their website for events and live music schedule. 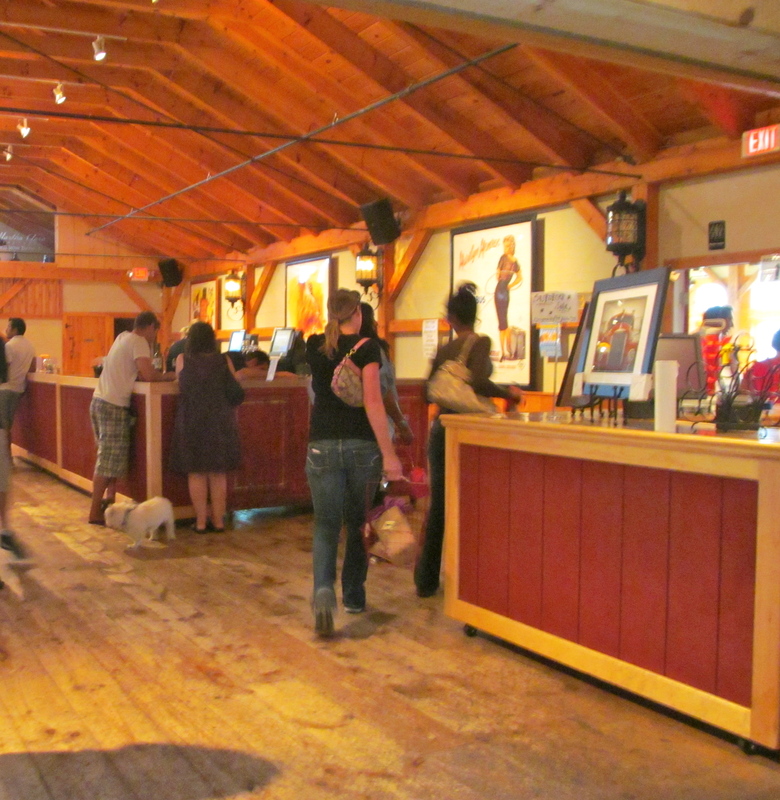 Check out the doggie in the wine tasting room. The Roots Foundation keeping the crowd entertained. Saying hello to one of the horses that pull the carriage through the vineyard. Families playing on the lawn. 5. 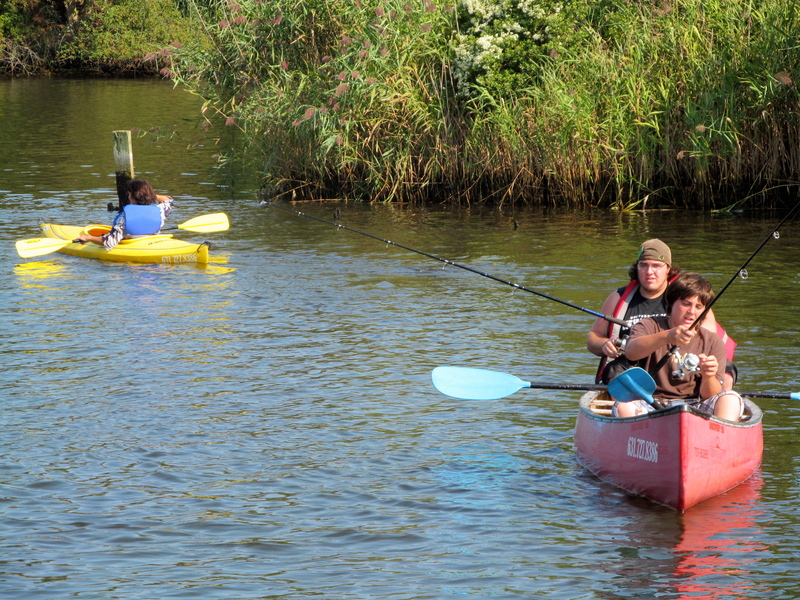 Treasure Cove Rentals – Located behind the Hyatt Place, the Treasure Cove Resort Marina rents bicycles, canoes & kayaks, water bikes and electric tour boards.You can rent by the one or two hours or for a half a day for four hours and venture out on the Peconic River. 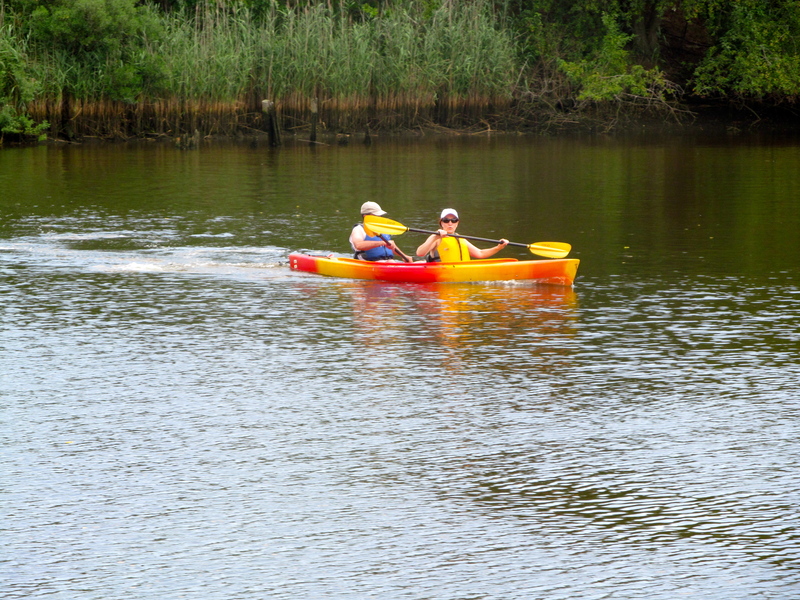 Kayaking along the Peconic River. 6. Gingerbread University – This is such a fun activity to share with kids and not just for Christmas. 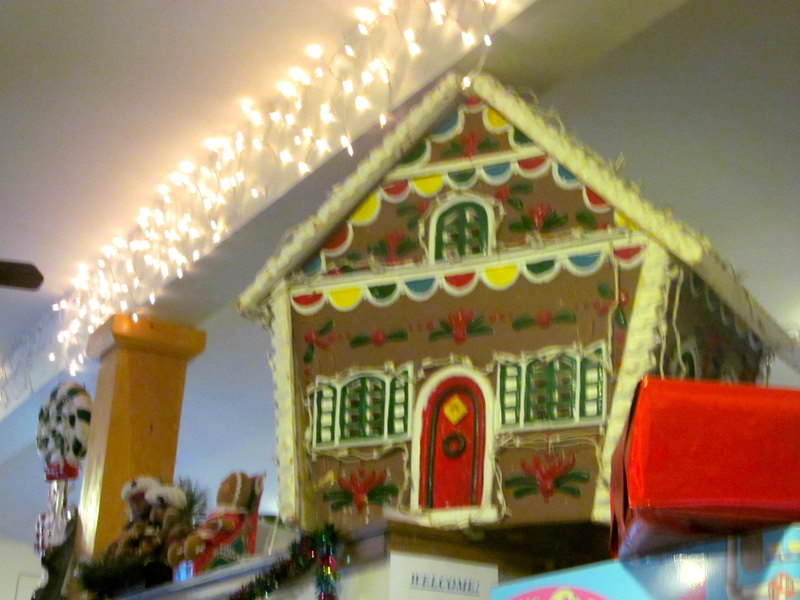 Families can pick from decorating their own Gingerbread house or cookies. Each month has a theme and when I stopped by they had cute whales to decorate for summer. There is plenty of candy in the sweet shop to add to the decorations too. Walk ins are welcome, but it is best to make a reservation. Gingerbread cookies waiting to be decorated. 7. East End Art Gallery – Located in downtown Riverhead on Main Street, this gallery is run by the East End Arts Council. The Gallery produces eight shows a year and the gift shop showcases work of the member artist. Admission is free and open to the public. The day I visited there was an exhibit titled Found Objects and a fabulous women named Janet gave me a little background of some of the works of art. 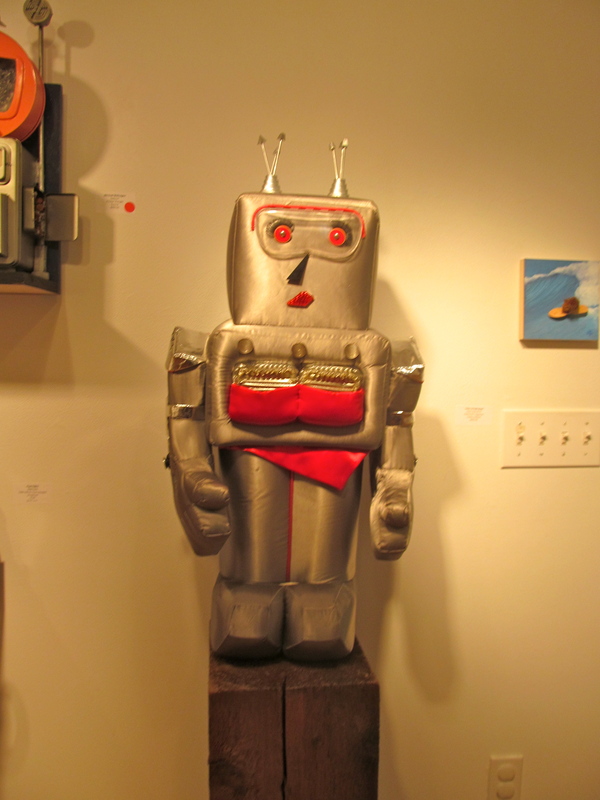 I found many of the sculptures and paintings whimsical and thought it would be a great exhibit for kids to get their imaginative juices flowing by looking at works of art that were made of old alarm clocks and a kitchen strainer. My favorite object was a very large wastebasket that looked like a Starbucks cup made from Starbucks cups found on the ground. 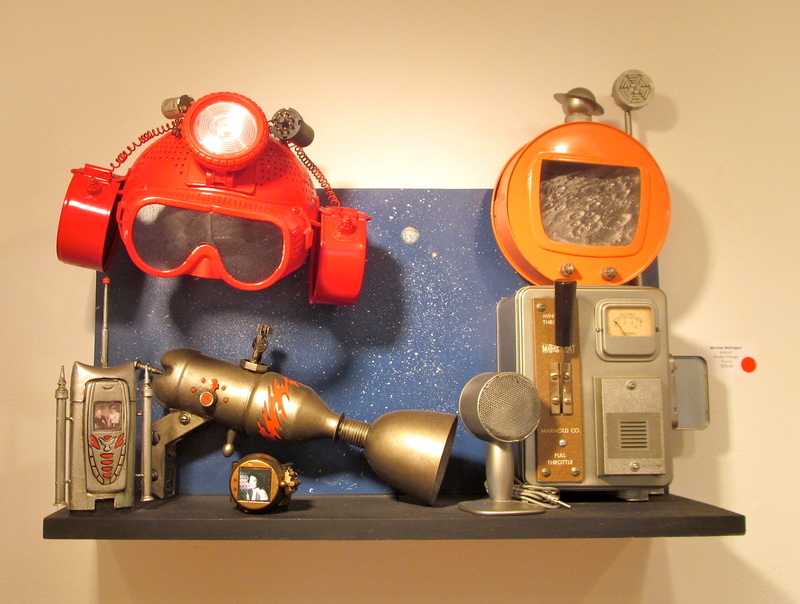 A work of art made from found objects. 8. Out East Family Fun – This is an outdoor family entertainment center opened from March through November. Miniature golf, batting cages, and jump shot basketball (a trampoline basketball game) will definitely ensure a great time. Summer seasonal activities include all water attractions which include 4 inflatable water slides, water wars (a slingshot water balloon game), shoot and shower (a basketball splash game), and a splash zone for the little ones. This place is a must, since vacation always should include a round of mini golf! 9. Affordable Accommodations – There are three options for family accommodations in Riverhead – Holiday Inn Express East End, Hilton Garden Inn Riverhead and the Hyatt Place Long Island East End, all averaging about $150 a night. Both the Holiday Inn Express and the Hilton Garden Inn are both located on Old Country Road which is close to the outlets, Splish Splash, Riverhead Raceway & Out East Family Fun. The Hyatt Place, which opened up a year ago is on Main Street in the historic downtown section of Riverhead and sits along the Peconic River. 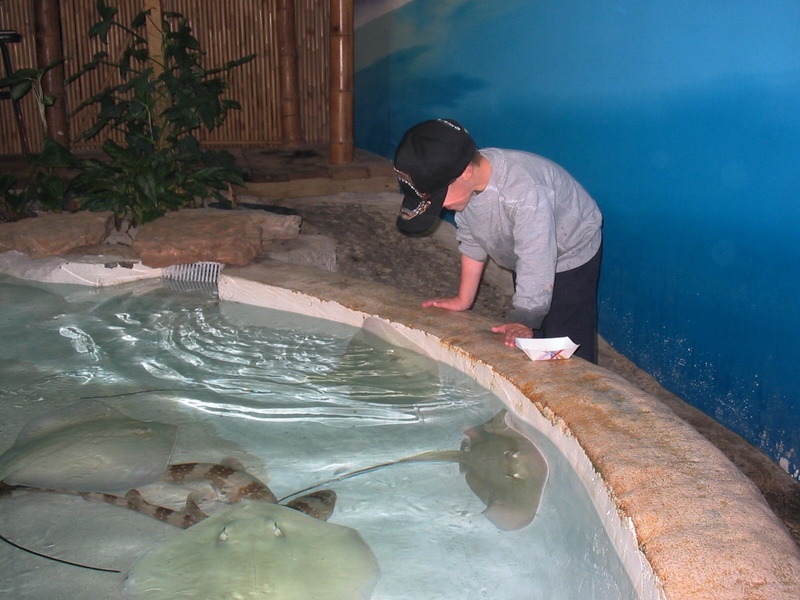 It is next to the aquarium and is close to the Long Island Science Center and the Railroad Museum of Long Island. Treasure Cove Marina is also located on the premises for kayak rentals. Each hotel has a pool, which is another attraction in itself when traveling with kids. 10. 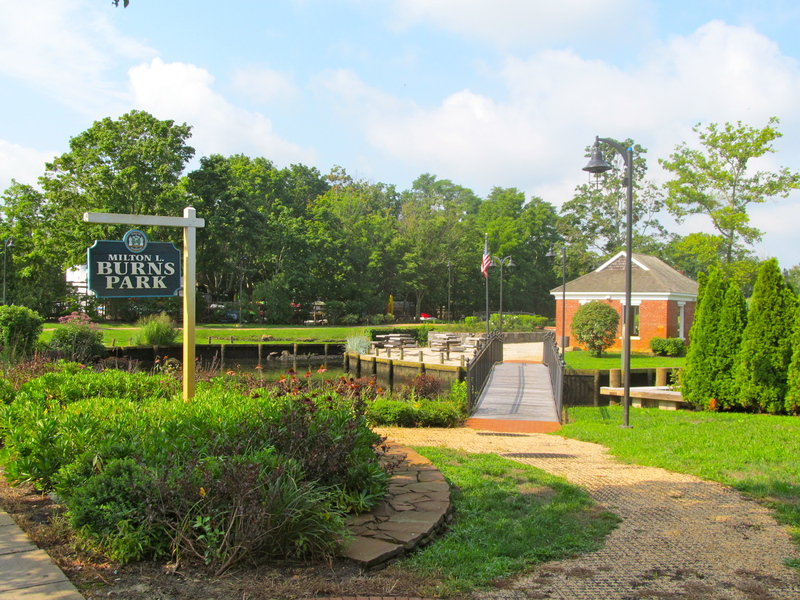 Picnic at the Peconic Riverfront Park – Pick up lunch at one of my favorite places, The Country Rotisserie, and head down to Milton L. Burns Park which is behind the bank on Main Street. 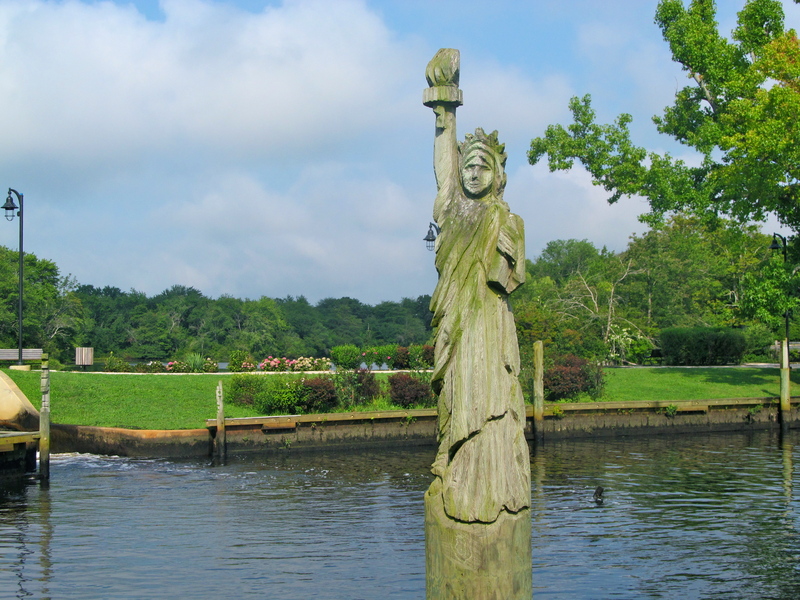 This is a phenomenal park and you will feel like you are in an outdoor art gallery with the carved pilings along the river. Seriously these pilings are a work of art, and you will find carvings of the Statue of Liberty, 911 Memorial and the Empire State Building. 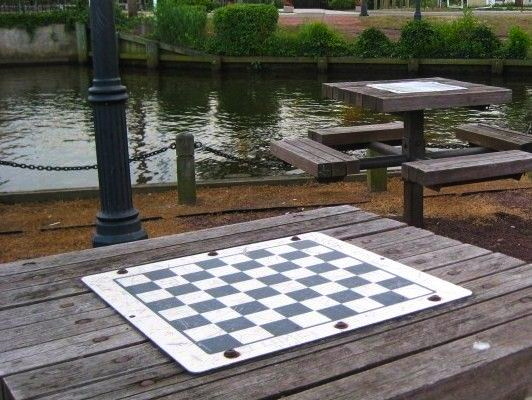 There is a performance area , benches and checkers and chess tables. The gardens are beautiful with many blooming flowers. This a charming retreat with pathways, grassy areas and some shade trees. At the entrance off of Main Street there is a new playground and community garden. Across the street, south along the river you will find Ammann Riverfront Park. This park runs behind the southern storefronts on Main Street. Here you will find picnic tables along the riverfront with boat moorings. Sometimes a farmers market will be set up and the park ends at the aquarium. See, they really are works of art! Are you impressed with all that Riverhead has to offer? Well this is just the tip of the iceberg, with twenty more reasons to vacation in Riverhead, make sure you check out my continued post later this week! When my son was little we occasionally took vacations. Often times we made day trips to places like Sesame Place or riding “Thomas the Train” in Essex, Connecticut. Outside of quick day trips we would once in a while head down south to visit family. 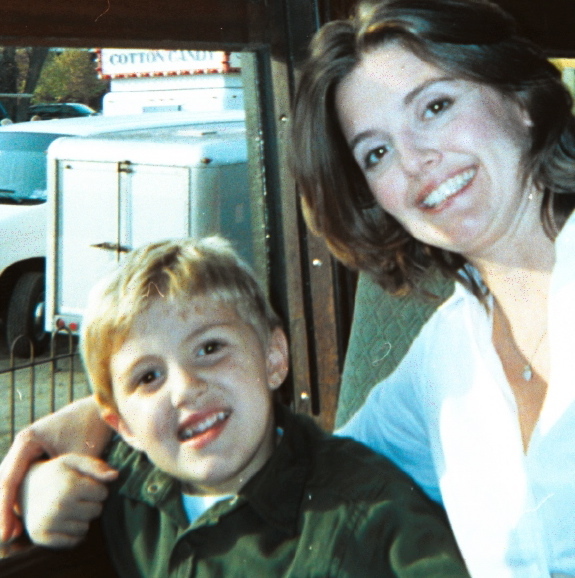 It wasn’t until my son entered the third grade that we started to travel on a regular basis. Our travels often times would stem from what he was learning in school. Of course living outside of New York City made many trips reasonable from a time and cost perspective. 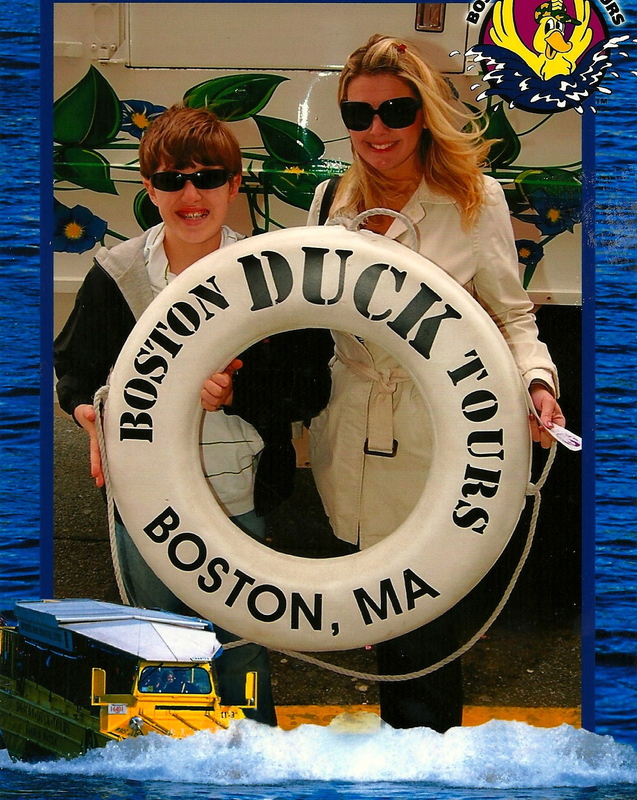 It was so much fun spending time in Boston when he was learning about the American Revolution or in Gettysburg when he was studying about the Civil War. It was after trips like these that I really began to make an effort to explore any opportunity where we could learn something new. 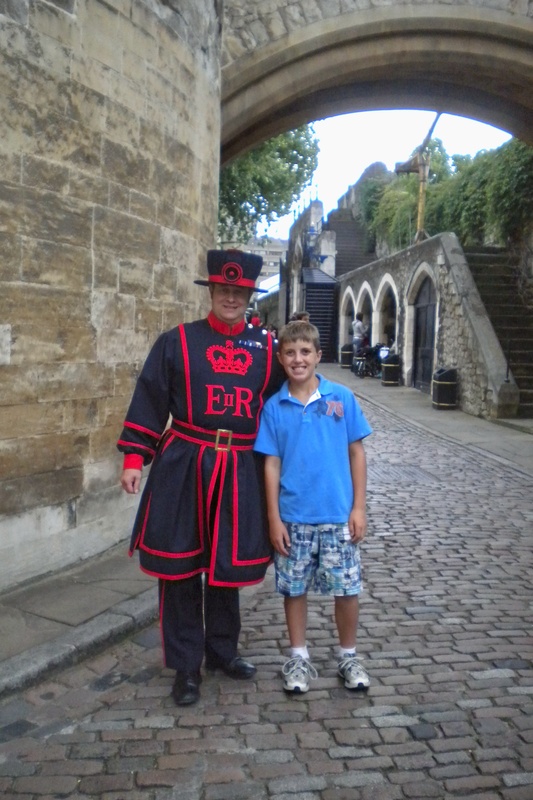 These opportunities resulted in really unforgettable experiences like when my son briefly drove the Duck Tour Boat in Boston on the Charles River, learning how to blow glass at the Corning Glass museum, meeting a Yeoman Warder at the Tower of London, exploring caverns in Virginia and making a stop action animated film in New York City. I have watched his confidence grow when he would eagerly answer questions about Teddy Roosevelt that the park ranger asked during the tours of Sagamore Hill and when no other adult was brave enough to speak out and answer questions from one of the trainers when we enjoyed the dolphin encounter in the Bahamas. There were also times when our travels didn’t go as planned, and usually revolved around getting lost. It was these times that we had to work together to get out of a “pickle”. For instance there has been many times my son needed to read the emergency map quest directions when the GPS lost a signal and he was quick to point out when we were going in the wrong direction on the tube of London’s Underground. Not only did we have to work together, but these situations taught us the importance of staying calm and the realization that we could resolve any problem. As a mother I really do want to show my son the world because there is more to life than routines and chasing society’s expectations. I hope every new opportunity makes him curious to know more and provides him with the realization that the possibilities are endless in whatever path he chooses. I am excited that our travels that started out as fun adventures have led to unexpected gifts of courage, knowledge, new skills and an increased awareness and perspective of other cultures not just for my son, but for me too. As wonderful as these gifts have been, the best gift has been the precious bond between my son and I. As a single parent my life is really busy. Juggling a career, keeping up the home and navigating everything that accompanies school and extracurricular activities can sometimes be demanding. There are days that sometimes blend together. Traveling allows me to focus on my son without all the distractions of everyday life. 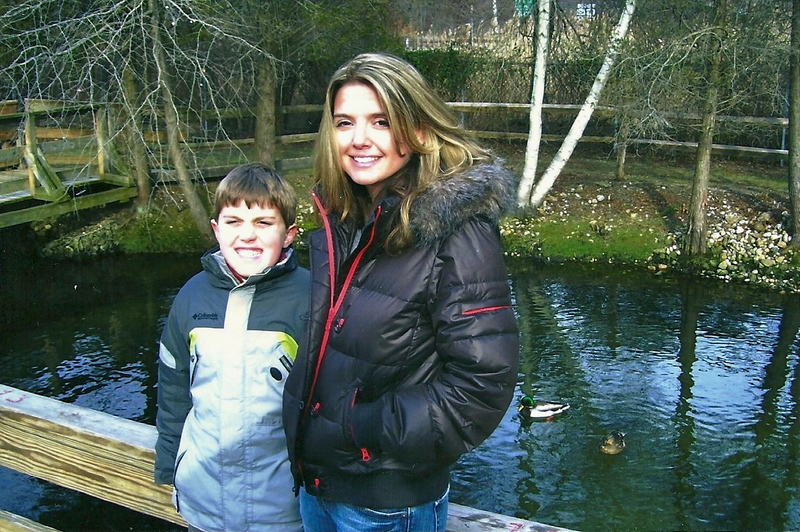 When traveling I feel an inner calmness which allows me to share genuine happiness with my son. With today being Mother’s day I can’t help but think how wonderful it is that travel has provided such happiness that has been intertwined into the fabric of everlasting memories for me and my favorite travel companion, my son. Traveling has truly been a gift and has provided another link in the bond of our relationship. 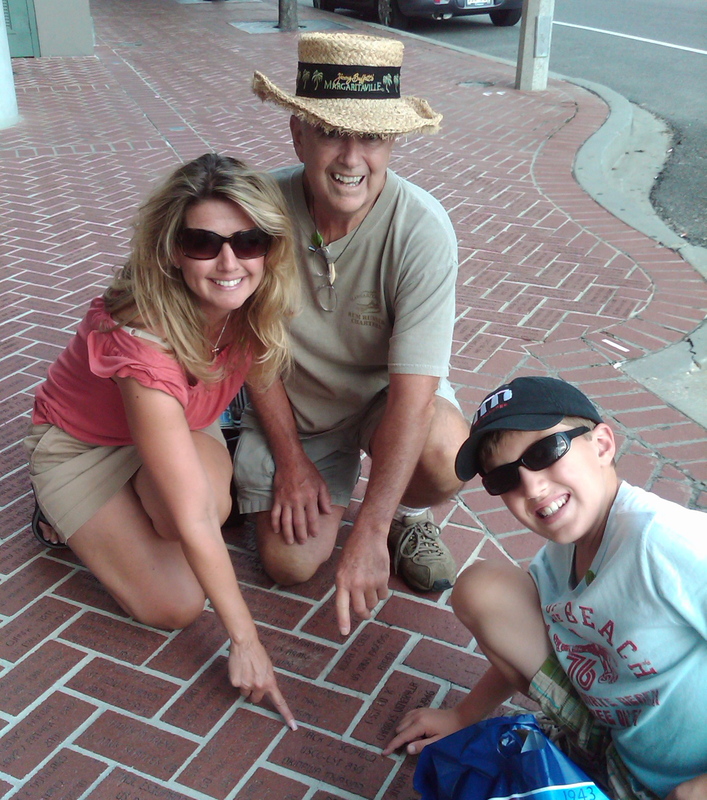 What unexpected gifts have you discovered while traveling with your children? I follow many other traveling families via the blogosphere. One of my favorite sites to visit is Mother of All Trips! Today Mara is promoting a linkup for all travel moms, so click and read on to see how travel is the gift that doesn’t stop giving for many other families. 1. 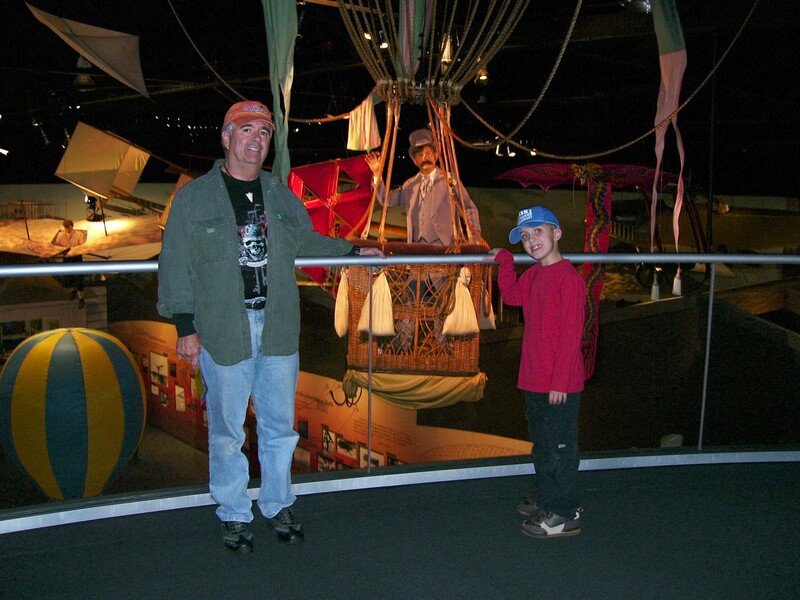 CRADLE OF AVIATION MUSEUM – When you visit Long Island’s Air and Space Museum your family will be able to explore eight exhibit galleries that are home to over seventy-five air and space crafts. Kids and adults will enjoy learning about the major role Long Island has played in aviation and historic flights like Charles Lindbergh’s “Spirit of St. Louis”. Many interactive exhibits and short films make the experience a lot of fun. The Junior Jet Club is a great place for children under six to explore. Older children will enjoy the Giant Screen Dome which offers a great selection of movies like “Legends of Flight”. 2. FIRE ISLAND LIGHTHOUSE – For many travelers that crossed the Atlantic Ocean back in the 19th Century, the Fire Island Lighthouse was the first evidence of land. Your family can enjoy learning about the whaling industry, shipwrecks and Long Island’s fishing industry by visiting the interactive exhibits. Families will also enjoy the guided lighthouse tower tour where you can climb 156 steps to the top of New York’s tallest lighthouse.. 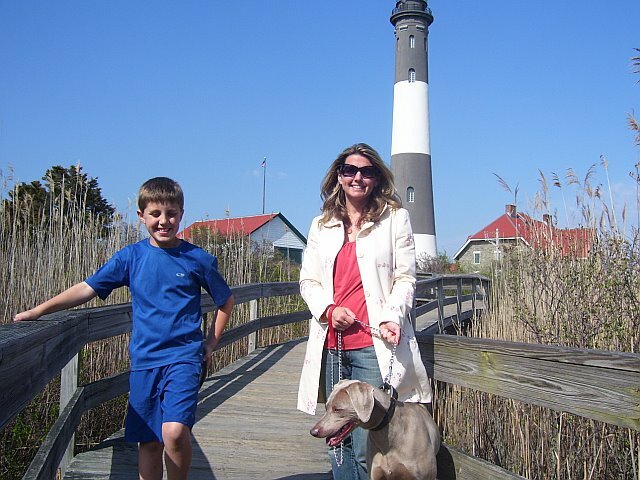 The lighthouse and tours are offered year-round. For tour information visit the Fire Island Lighthouse Preservation Society. 3. 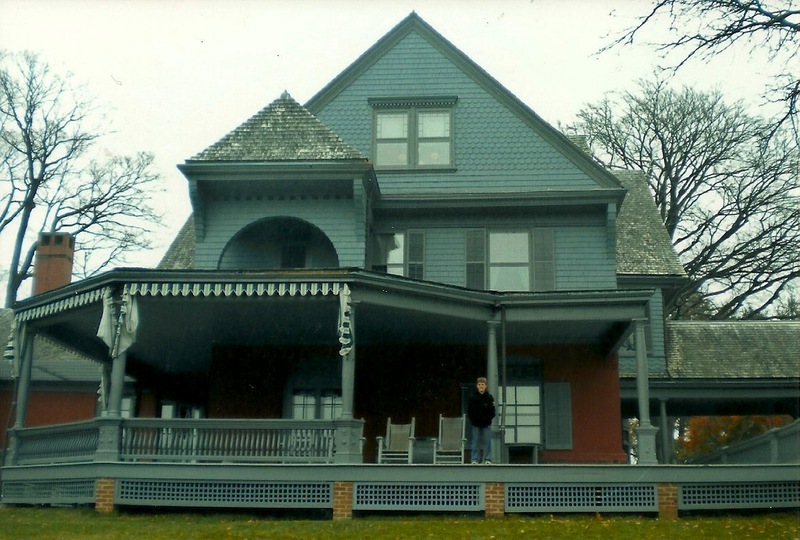 SAGAMORE HILL – Sagamore Hill was the home of President Theodore Roosevelt. This is one of my favorite places on Long Island. I have to mention that the home which is the main attraction is under renovation, but there is still plenty to see and enjoy. 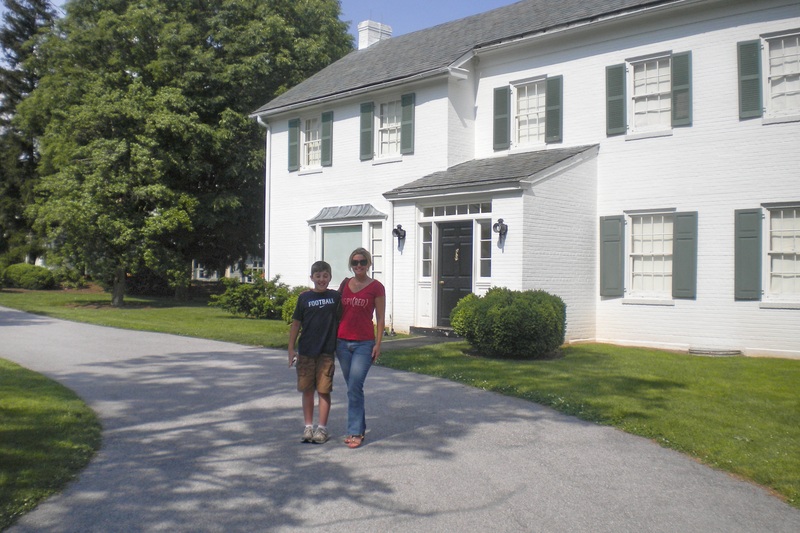 The Roosevelt Museum at the Old Orchard house has great exhibits and several short movies which highlight many aspects of President Roosevelt’s political and family life. Families can also enjoy the outdoors on the Sagamore Hill Nature Trail. If your family enjoys the nature scene, make sure to visit the Theodore Roosevelt Sanctuary & Audubon Center which is down the road from the President’s home. Visit the sanctuary’s website for great family events like “Dancing Under the Stars” and the popular “Owl Prowls”. Adjacent to the Sanctuary, you can also visit Theodore Roosevelt’s Gravesite. 4. 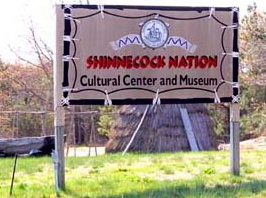 SHINNECOCK NATIONAL CULTURAL CENTER AND MUSEUM – The Shinnecock National Cultural Center and Museum is the only Native American operated museum on Long Island. Since I am not a native New Yorker, I really didn’t know too much about the Algonquin heritage until my son studied the history of the state of New York in the 4th grade. Visiting this museum is a great way to enhance your families knowledge about the history and culture of Native Americans. 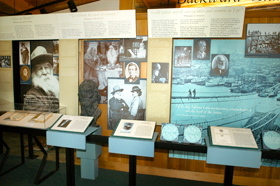 There are two permanent exhibits that span over 10,000 years of Shinnecock history, educational programs and workshops. The museum is located in Southampton, New York and is open from Wednesday through Sunday. 5. 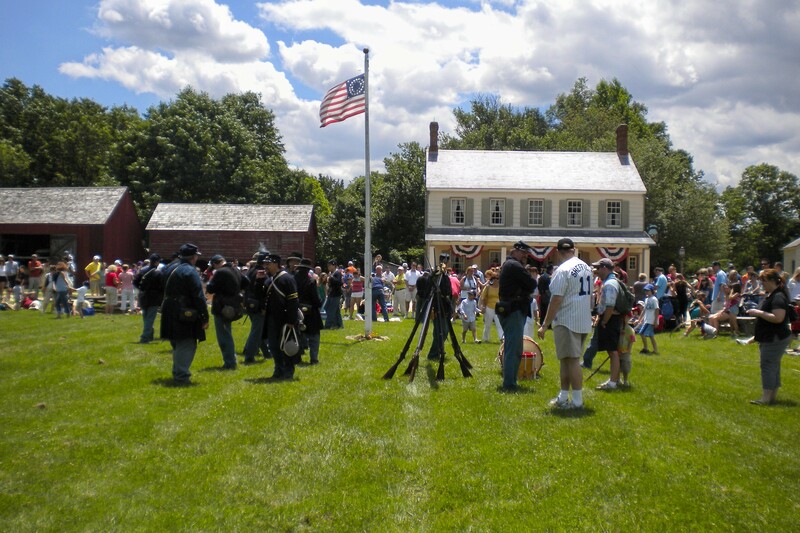 OLD BETHPAGE RESTORATION – Old Bethpage Village Restoration is a living museum that recreates a Long Island Village in the pre-Civil War era. Families will be able to roam 200 acres and visit historic buildings like a church, school, farmhouse and general store. Costumed guides give demonstrations and kids can learn what life was like in the mid-1800s. 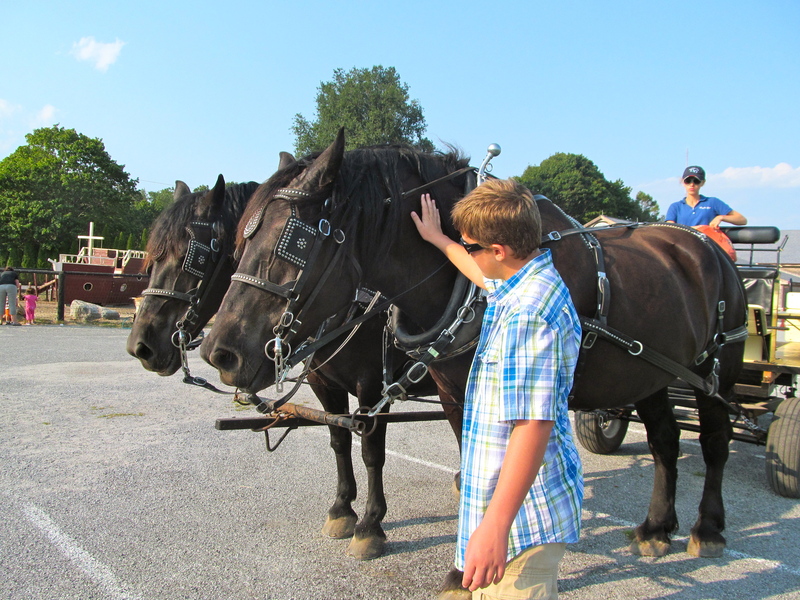 There are many seasonal events like the Civil War Battle in July and the Fall Harvest Fair in September. Old Bethpage Village Restoration is open from March 31st through mid December. 6. 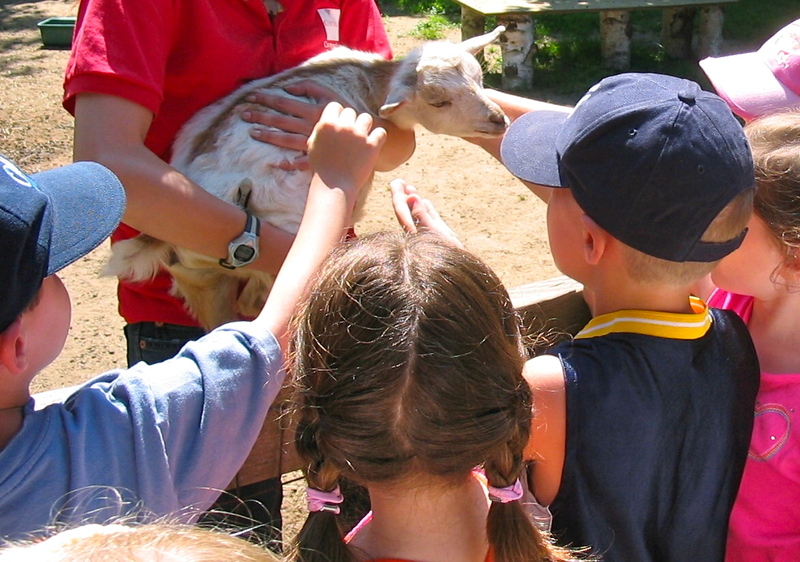 SUFFOLK COUNTY FARM AND EDUCATION CENTER – The Suffolk County Farm is a real working farm where families can get close to the farm animals and participate in special events that are offered for all seasons. Events like “Yesterday’s Family” will have your kids learning how to churn butter and make candle holders out of metal. Other fun events are the St. Patrick’s Day Scavenger Hunt in the spring, the Ice Cream Social in the summer and the Sunset Wagon Tour in the fall. In the summer, kids can also participate in garden sessions on Wednesdays for eight consecutive weeks where they can grow their own food in the Children’s Garden. The farm is open seven days a week from 9 am to 3 pm. Up close with the animals. 7. COLD SPRING HARBOR FISH HATCHERY AND COLD SPRING HARBOR WHALING MUSEUM – Cold Spring Harbor is a quaint seaside village that dates back to the 1600s. For a small village, there is actually a lot going on! 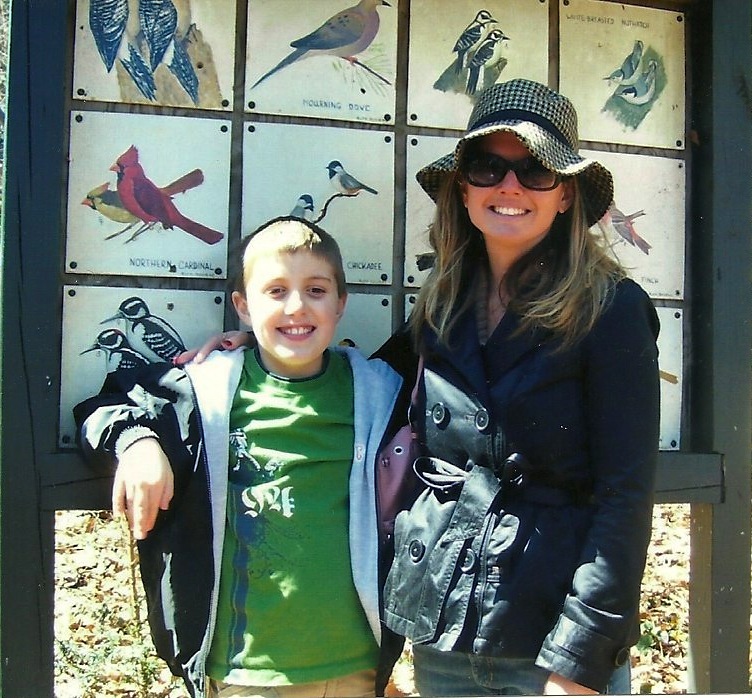 The Cold Spring Harbor Fish Hatchery & Aquarium is a great place to visit with kids. Families can learn about the freshwater ecosystem of New York and check out the largest living collection of freshwater reptiles in New York State, amphibians and fish. There is two aquarium buildings and eight outdoor ponds where visitors can feed the trout and experience “Catch & Keep” fishing. Make sure you check out the website for feeding demo and tour schedules. Admission for adults is $6.00 and children between the ages of three and twelve is $4.00. Two minutes down the road on Main Street you can also visit the Cold Spring Harbor Whaling Museum. 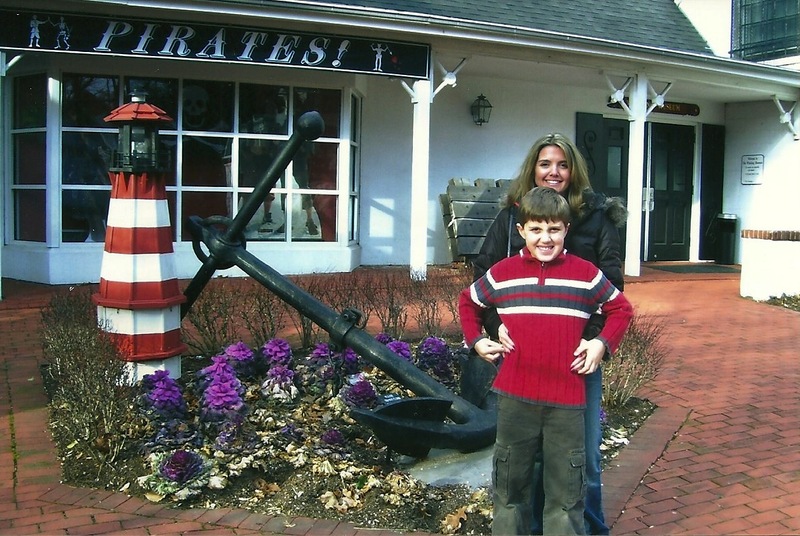 My son and I really enjoyed learning about Long Island’s whaling history. The museum offers changing exhibits, films like “Flubber” that will show during President’s week and special programs that often revolve around holidays. Admission for adults is $6.00 and kids between the ages of five and eighteen is $5.00. 8. WALT WHITMAN BIRTHPLACE & INTERPRETIVE CENTER– In the 1800s, Walt Whitman was born and raised in West Hills, Long Island. This Long Island native is regarded as one of America’s greatest poets. I love visiting the homes of literature greats so I can learn about their experiences that lead to their words living on for centuries. Step back in time by taking a guided tour of the home. Families will also be able to enjoy changing exhibits that consist of memorabilia books, photographs and excerpts of Whitman’s writing at the Interpretive Center. In addition to the exhibits, the center also has a bookstore, museum shop and a multimedia area where you can hear Whitman’s own voice on a video tape. Make sure to check the website for special events like poetry readings, the Victorian Tea Party and events for children. When the weather is nice, families can also enjoy picnics and hiking tours of the beautiful grounds. 9. LONG ISLAND CHILDREN’S MUSEUM– The Long Island Children’s Museum is a hands-on museum that will inspire children’s creativity. This award-winning children’s museum has twelve galleries, art exhibits and a theater. 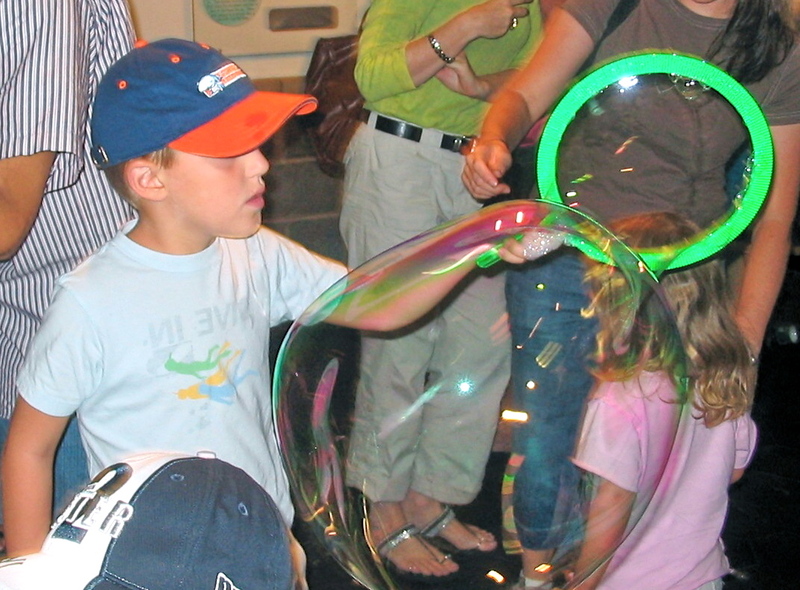 Some galleries that were a hit with my family was” Bubbles” where the kids could step inside a giant bubble, and “Communication Station” where my son did a news broadcast. Theatre presentations consist of music, dance, puppetry and theatre that is interactive and explores both cultural and educational experiences. Admission is $11. 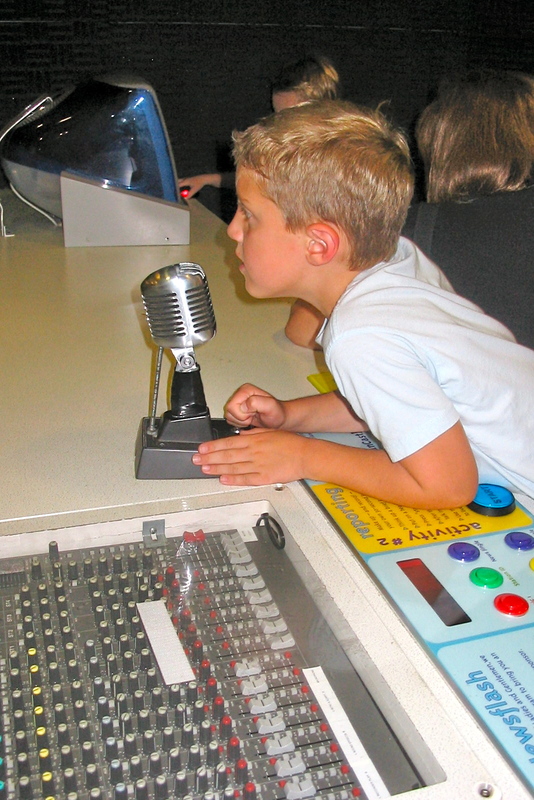 Please see the Long Island Children’s Museums website for museum hours and special events. 10. ATLANTIS LONG ISLAND AQUARIUM & EXHIBITION CENTER – This is one of the best family attractions on Long Island! Kids will be able see a 120,000 gallon shark tank, an all-living coral reef display, sea-lion shows and over 100 exhibits that offer interactive experiences and touch tanks. 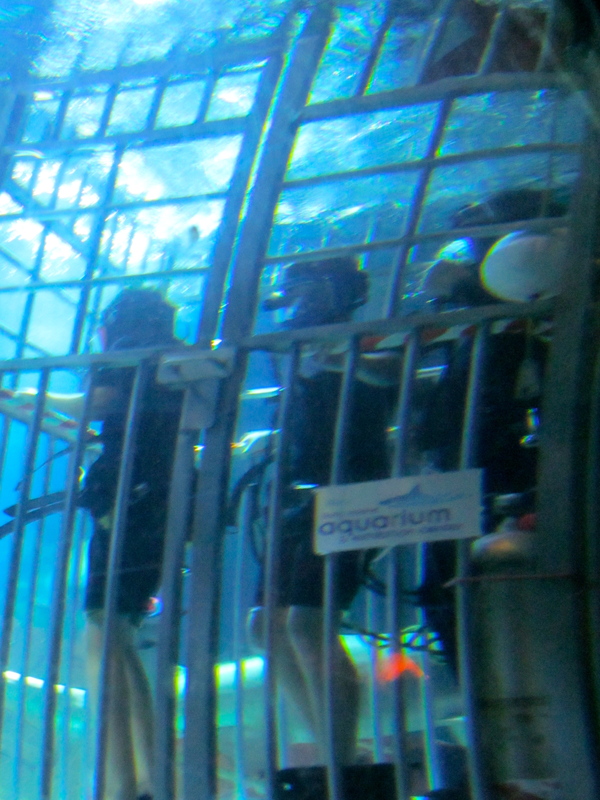 In addition there are several aquatic adventures that families can participate in like the Penguin Encounter, Scientist for a Day and Sleepover with the Sharks. The new Exhibition Center is now open and the Butterflies & Birds Flying is the current exhibit and is a limited engagement. Atlantis Long Island Aquarium & Exhibition Center is located in Riverhead, NY. The new Hyatt Place East End Hotel has recently opened next door if you would like to extend your day-trip into a weekend getaway. Admission is $22.50 for adults and $19.50 for children. A little pricy for a family, but so worth it! 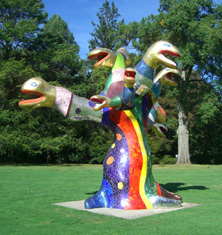 11.NASSAU COUNTY MUSEUM OF ART – This museum offers great programs for families and children. Every Sunday at 1 pm, the museum host art activities, family gallery talks and family friendly gallery guides. Check out the website for more family events like Show us Your LEGOS®. The Outdoor Sculpture Gallery is also a fun place to check out with the kids. The museum is located in Roslyn, New York which is only 25 miles east of New York City. 12. CUSTER INSTITUTE AND OBSERVATORY – Amongst private homes in Southold, you will find one of Long Island’s most amazing experiences. It is not a “day-trip”, but I have to mention the Custer Institute which is opened on Saturday evenings for stargazing. Far from the city lights, star-gazers are allowed to use the powerful telescope to check out the night sky from 7 pm until midnight (weather permitting) and tour Long Island’s oldest observatory. Admission is $5 for adults and $3 for children under 14. For more information, call (631) 765-2626. 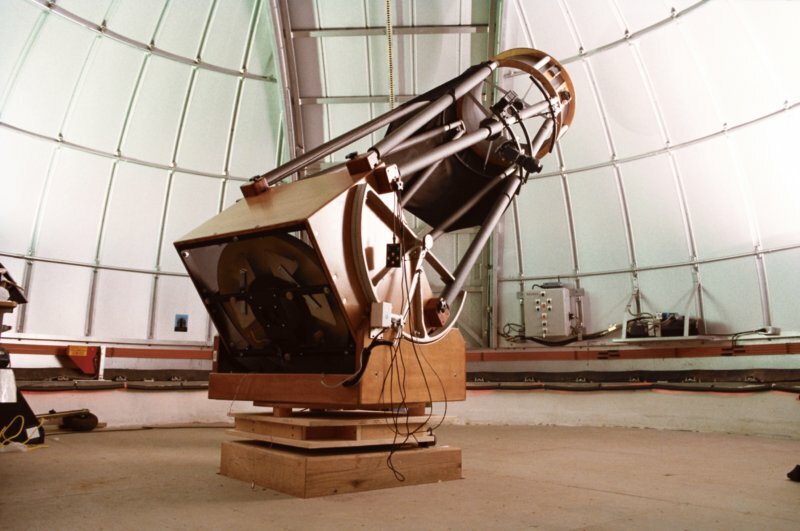 The powerful telescope at the Custer Institute and Observatory. Earlier this week I attended parent-teacher conference at my son’s Junior High School. I experienced a “proud parenting” moment, when the social studies teacher, Ms. Quinn referred to my son and said “sometimes he raises his hand and shares facts that I learned in college!” I smiled and told her that we traveled frequently and that he most probably was just sharing things that he learned in the various exhibits we have enjoyed. On my drive home, Ms. Quinn’s comment made me reflected on the many places that I had visited with my son over the last couple of years. Often times our journey to discover history or explore nature typically led us to one of the National Park Service sites. Viewing Washington Irving’s Sketch Book at his Sunnyside home in Tarrytown, New York. My son was surprised at the original sketches of Icabod Crane and the headless horseman since it didn’t look like the drawings in the scholastic version of the Headless Horseman that he read in school. Touring President Eisenhower’s farm in Gettysburg, Pennsylvania. President Eisenhower had a surprisingly small office and the wood floors were worn with scratches made from his golf shoes. Apparently he did a lot of pacing while running the country by telephone! 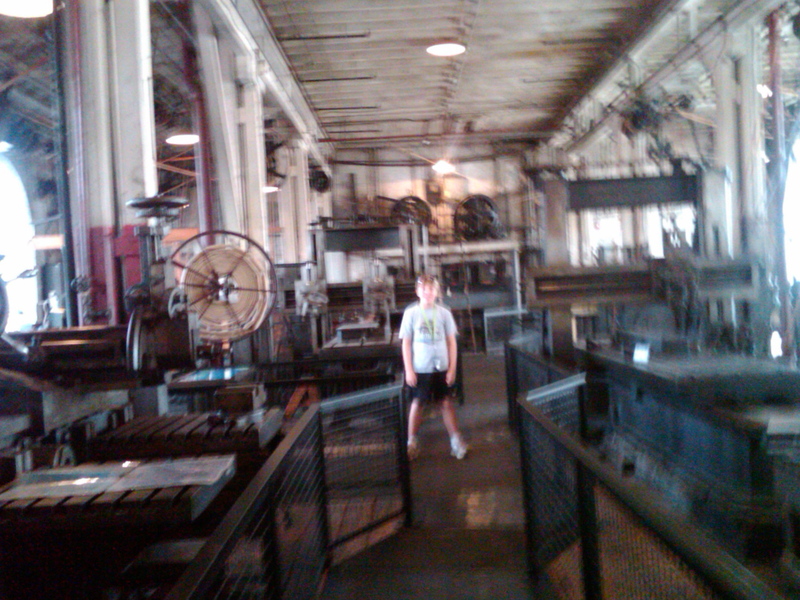 Exploring Thomas Edison’s Laboratories in West Orange, New Jersey. Thomas Edison wanted all five buildings on the campus built close together, so he wouldn’t waste time in transit that could be spent on his work. He even had a cot at the lab! We learned that his efficiency and hard work paid off because he still holds the record by earning 1,093 patents! Of course, many NPS sites include places like monuments, battlefields, parks, natural landmarks and seashores. Regardless if we were following the Freedom Trail in Boston, exploring the battlefields of Valley Forge or seeing the Washington Monument, the National Park Service really made learning fun! Many places have interactive museums, short films, tours, demonstrations and a Junior Ranger Program. Always wanting to make the most of our experience, I typically pre-plan by checking the calendar and the news and events section on the website of the NPS site we plan to visit. This allows me to plan our day so we don’t miss any special programs or activities that are often free like the shell-fish demonstration that we went to this past summer while visiting Cape Cod National Seashore. Learning about shell-fish at a NPS demonstration. Checking out the websites also will alert you to any special anniversary celebrations. For instance in 2009 it was the 200th anniversary of Abraham Lincoln’s birth, so there were many special exhibits that made our trip to Springfield, Illinois exciting. This year is the 150th Anniversary of the Civil War and the 50th Anniversary of JFK’s Inauguration. Most sites have visitor centers and I recommend making it your first stop because you can pick up maps and official NPS brochures that have a wealth of information and history. Sometimes short films play in an auditorium of the visitor center. The films are great to give a little background before you set out to explore. Information about tours will also be at the visitors center. 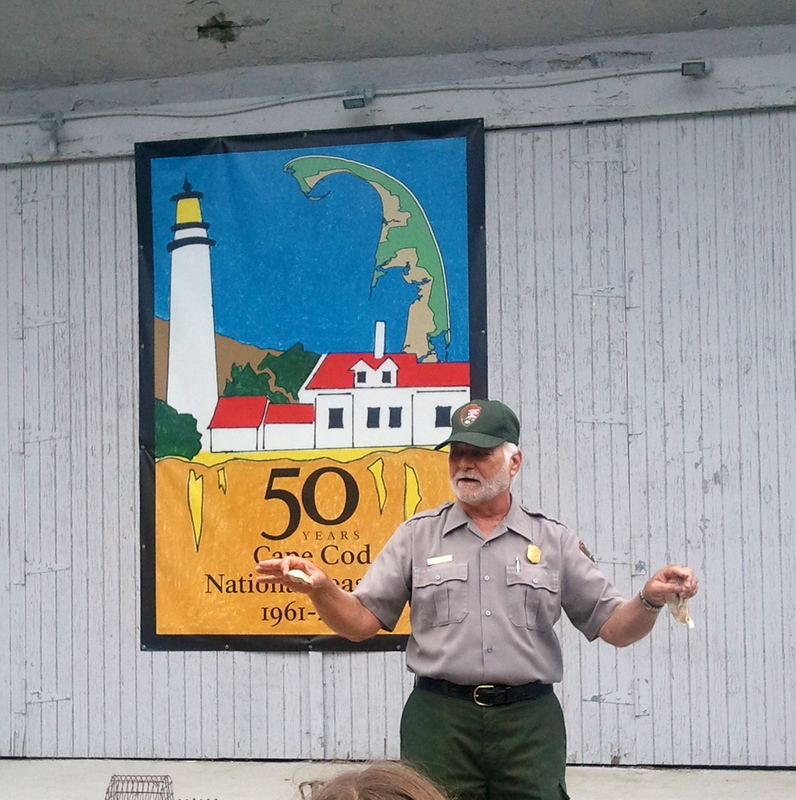 Tours are led by Park Rangers who are knowledgeable and enthusiastic about the parks. 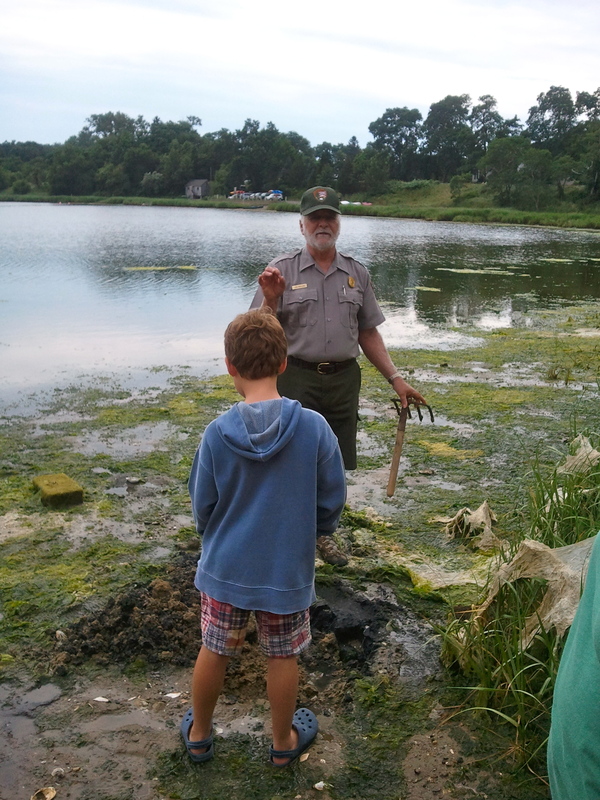 The kids can pick up a Junior Ranger guide which will make their visit more like a scavenger hunt. The National Park Service includes 400 places to discover! Many of the sites are free or have minimal entrance fees. Spending a day at a national park is most probably one of the most affordable places to go with the family to experience our nations beautiful landscape and heritage. The National Park Service is one of the greatest resources that preserves our country’s treasures. Who knows, maybe your kids will impress a teacher with a history or science tidbit that they learned on a NPS family trip. For travel ideas, itineraries or information to plan a trip to a National Park Service Site go to www.nps.gov .